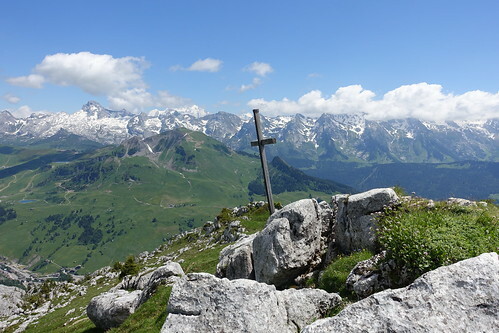 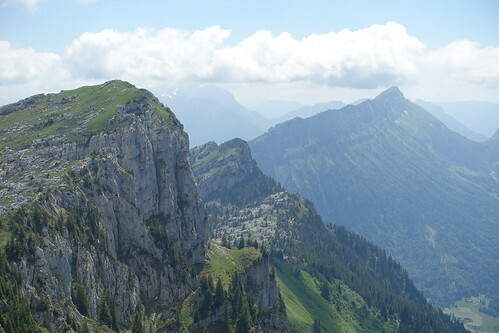 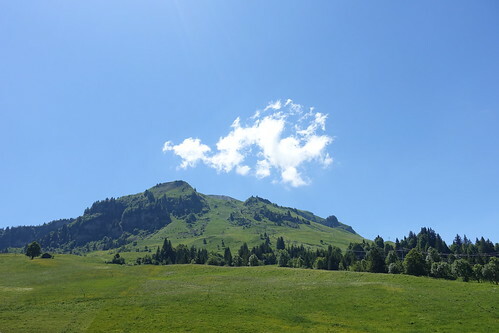 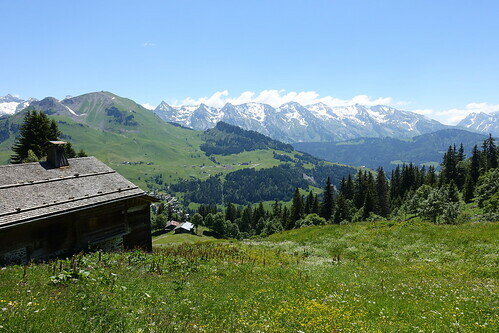 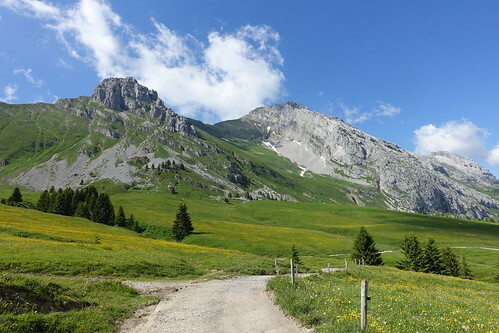 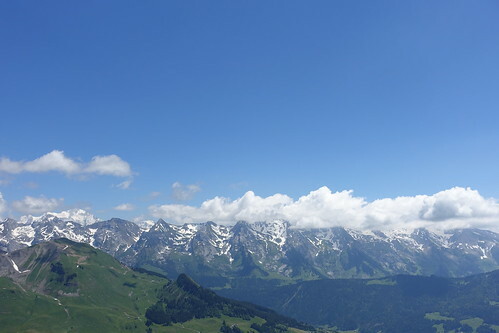 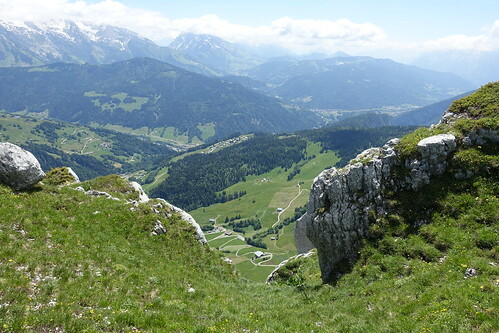 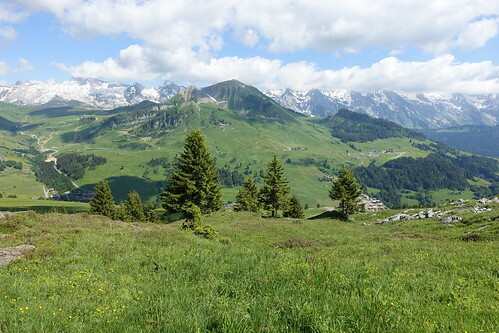 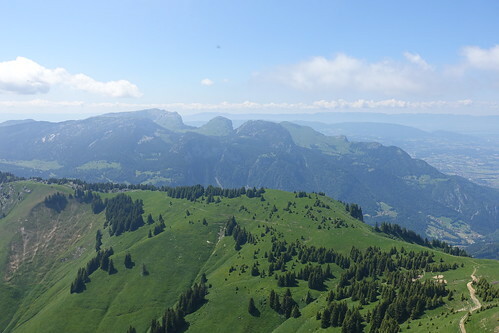 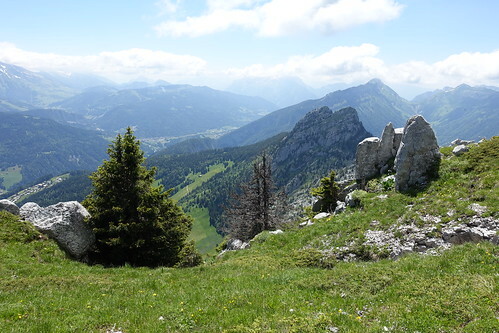 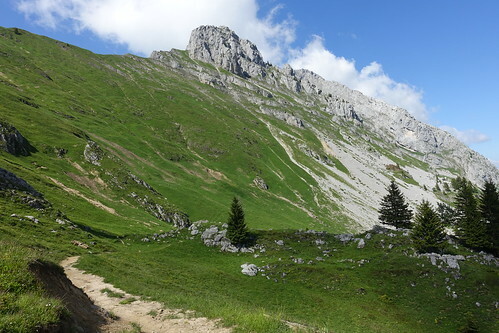 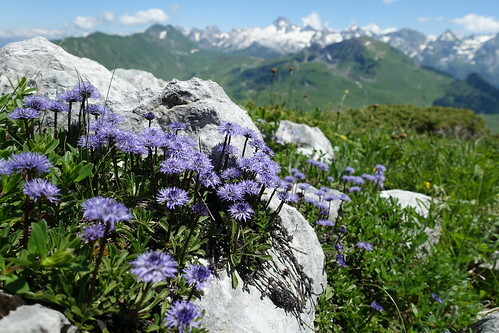 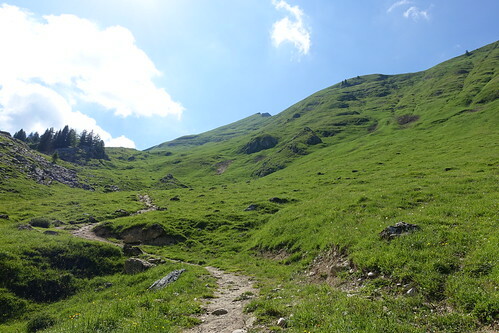 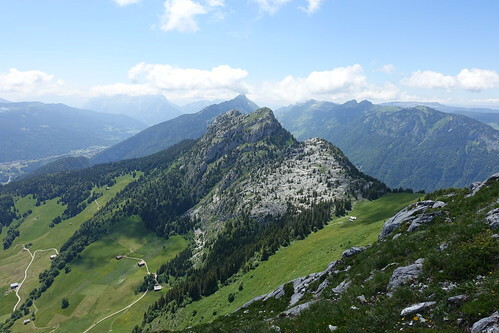 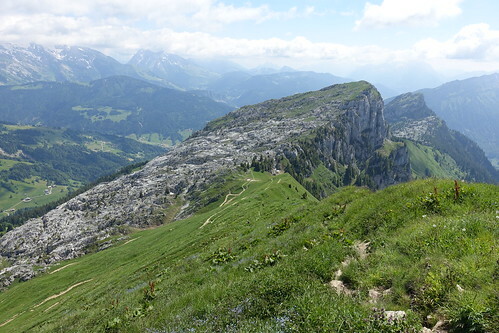 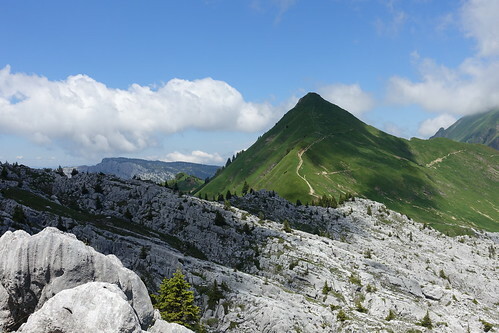 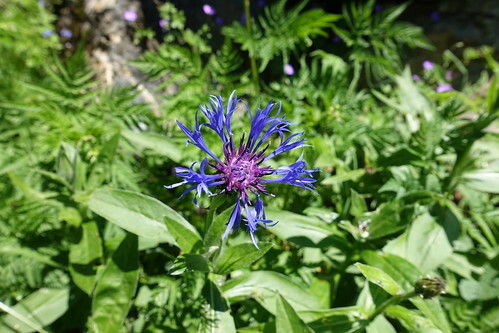 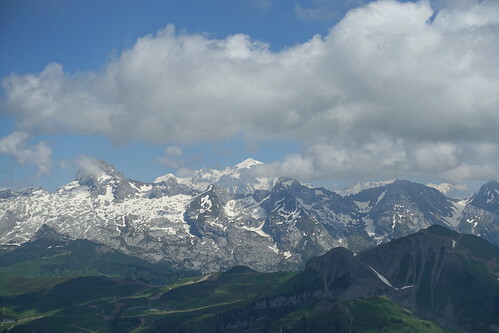 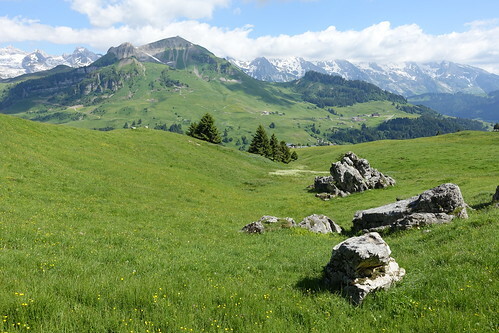 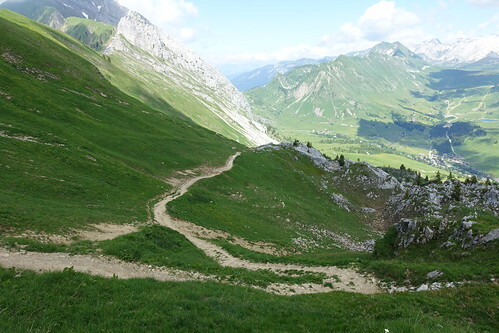 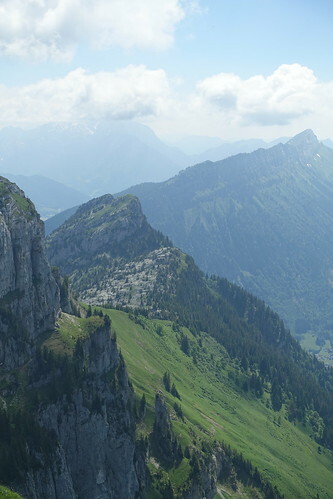 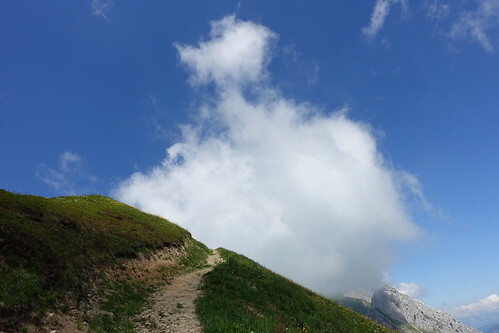 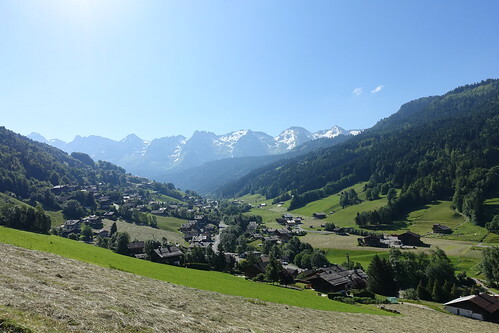 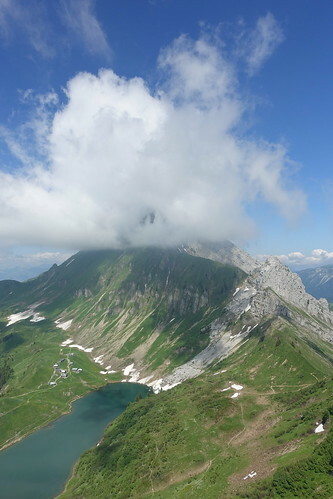 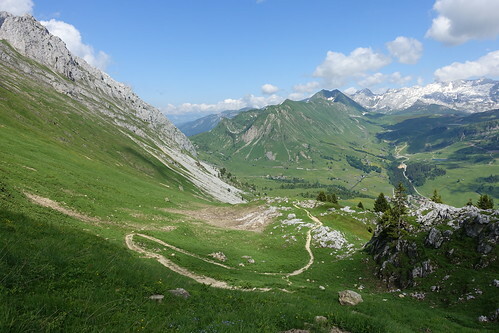 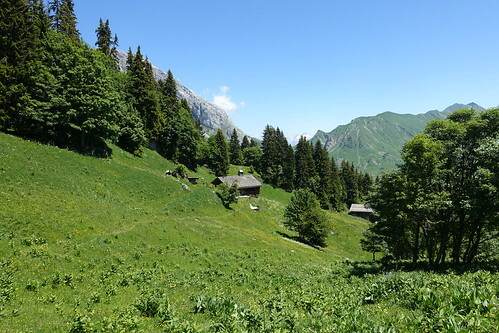 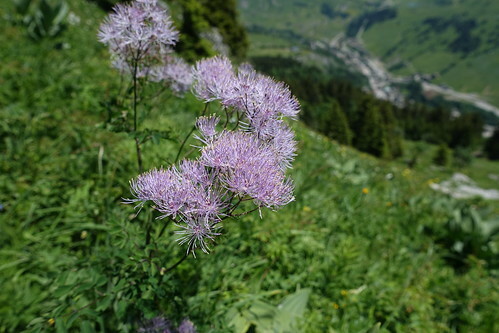 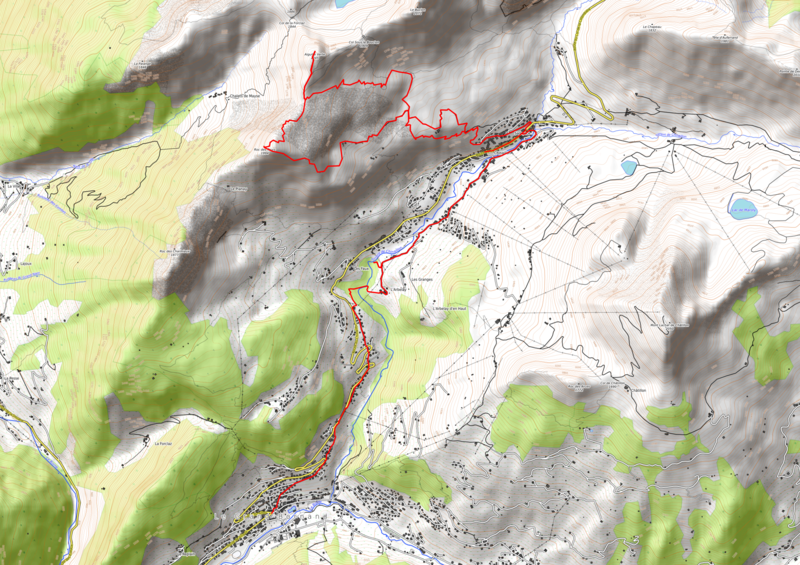 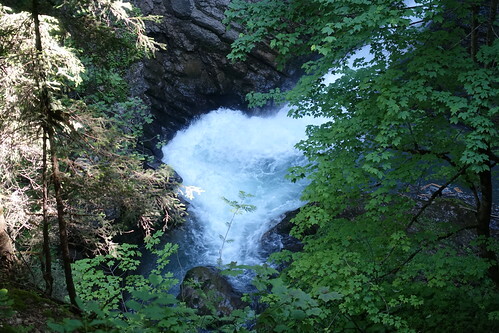 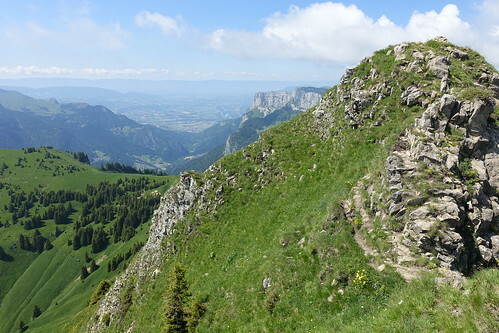 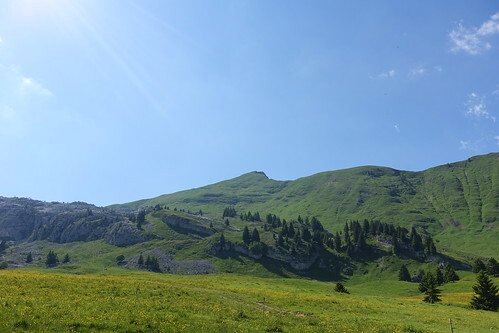 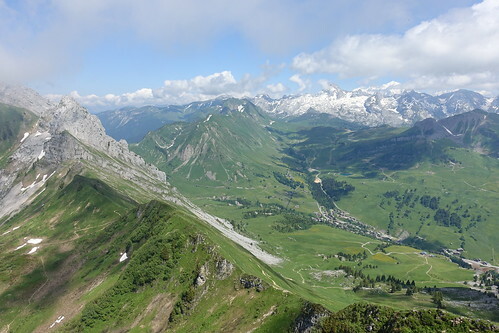 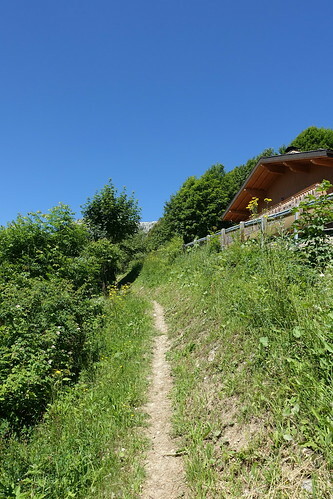 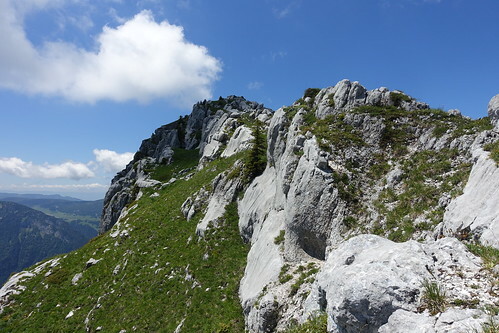 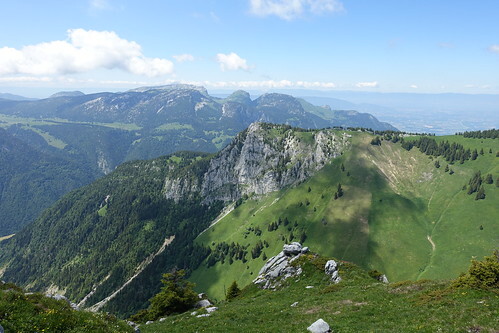 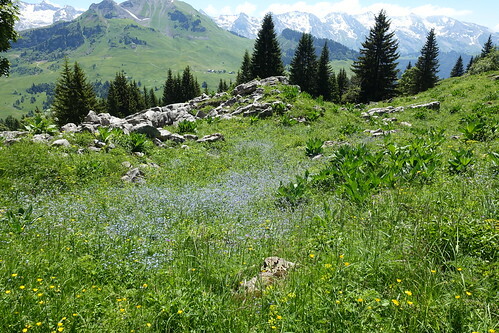 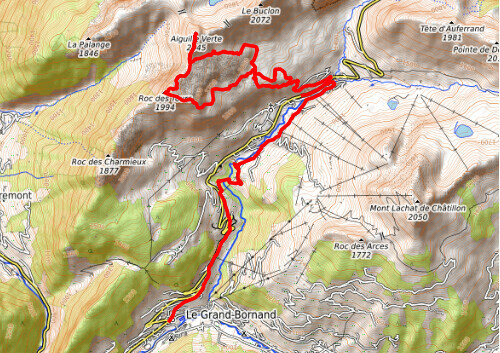 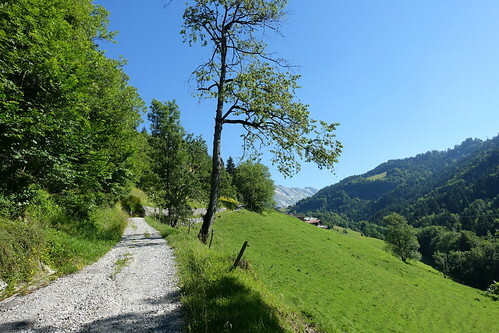 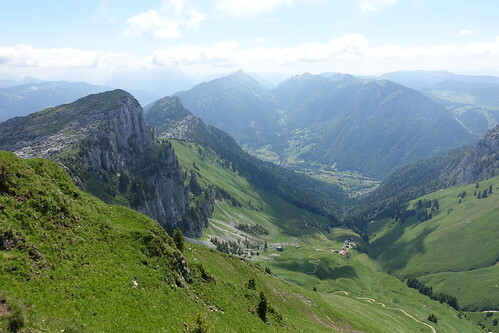 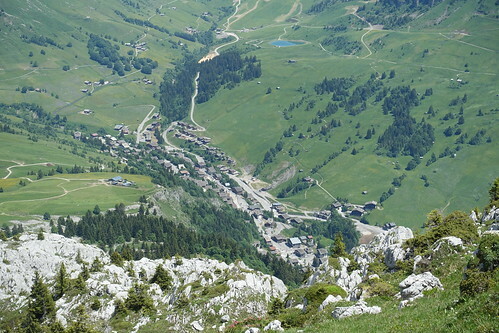 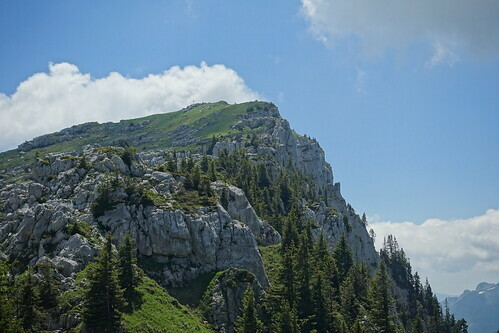 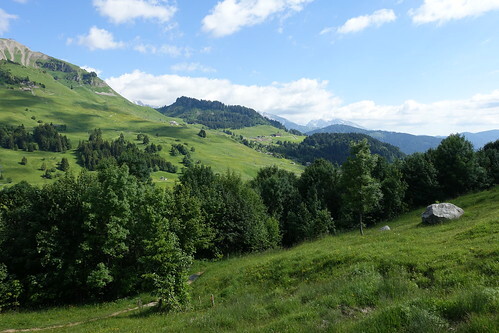 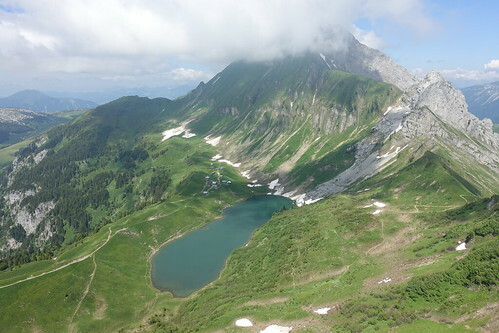 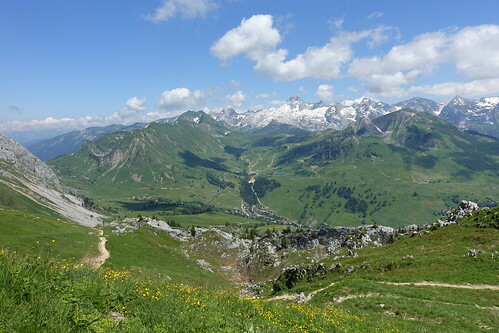 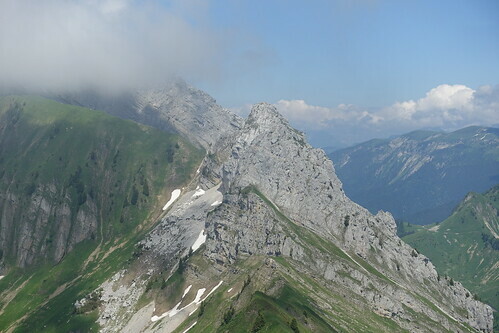 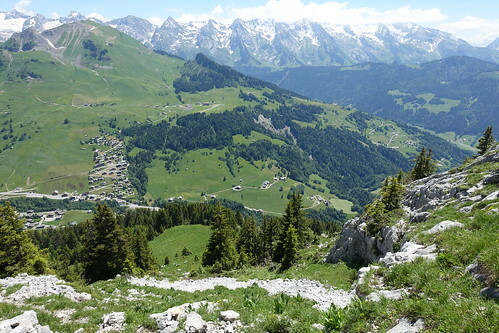 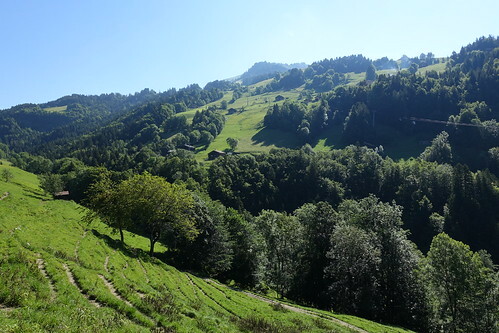 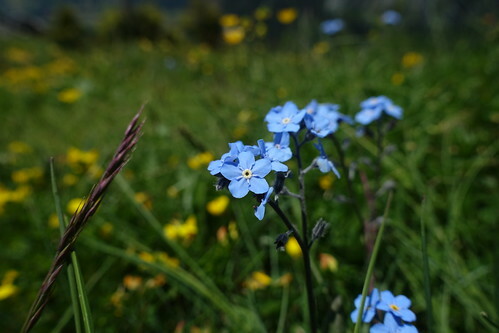 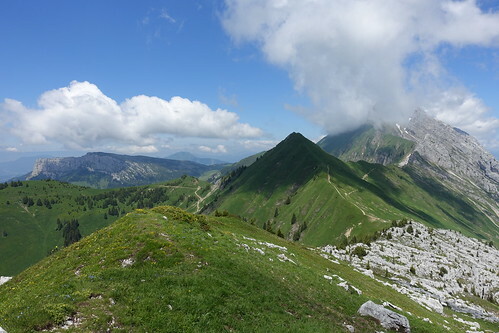 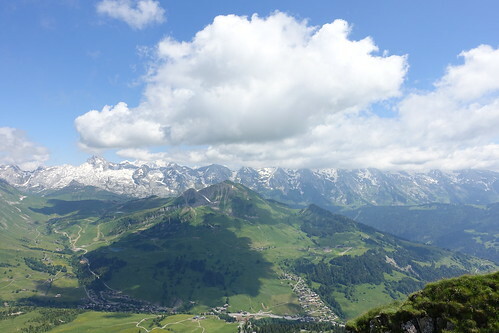 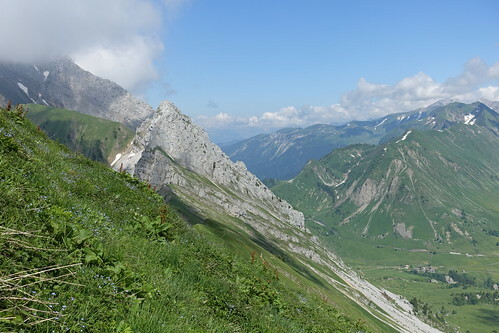 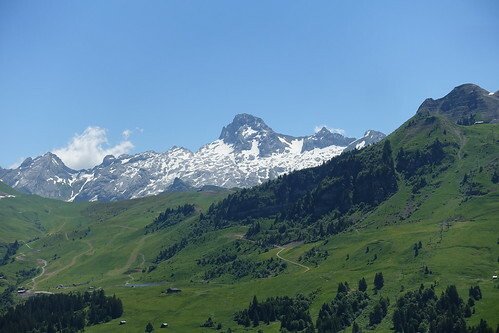 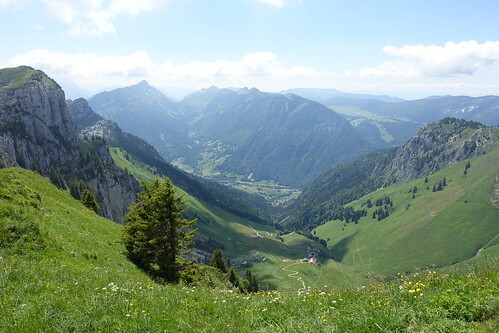 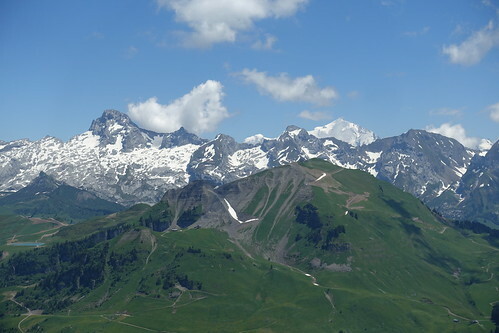 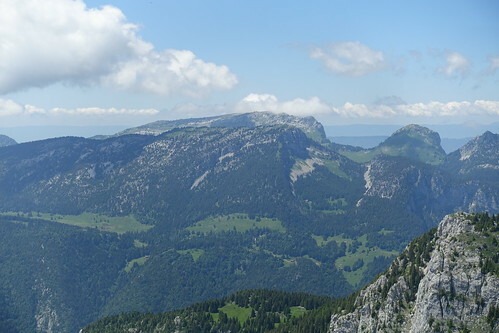 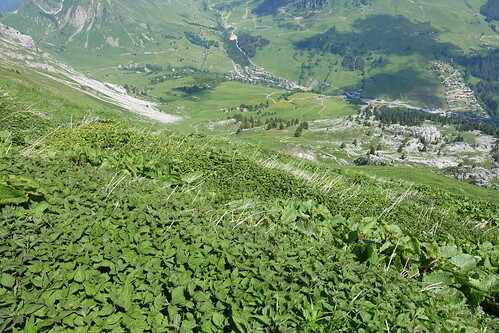 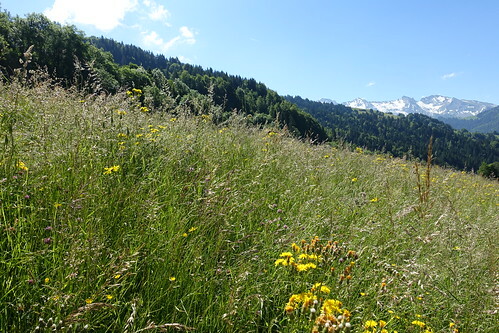 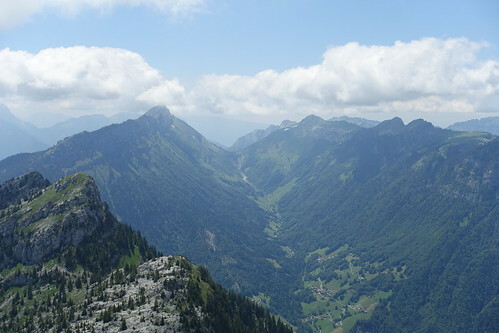 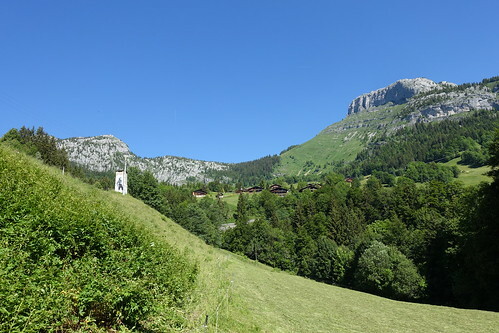 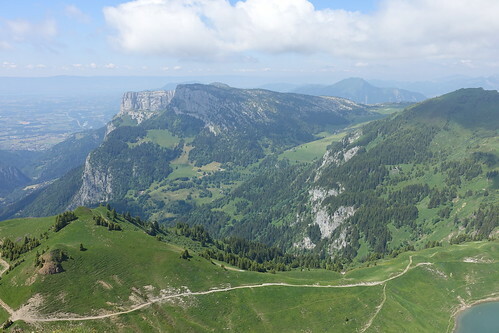 Last summer, I went on a hike to Roc des Tours and Aiguille Verte in Le Grand-Bornand. 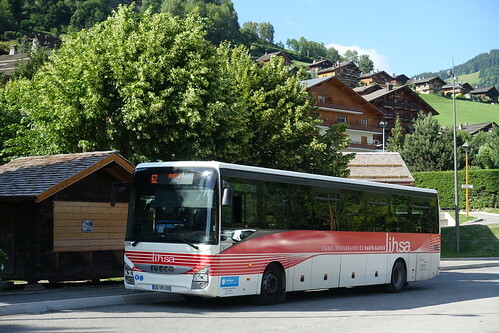 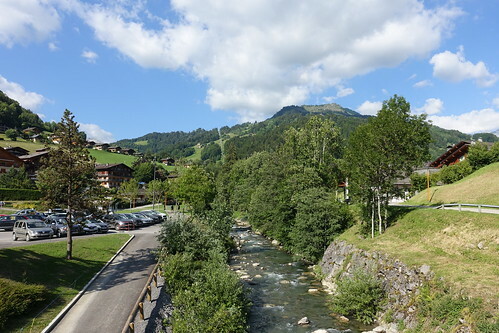 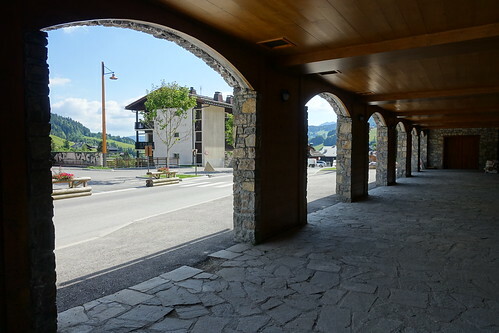 I arrived in Le Grand-Bornand by LIHSA bus from Annecy. 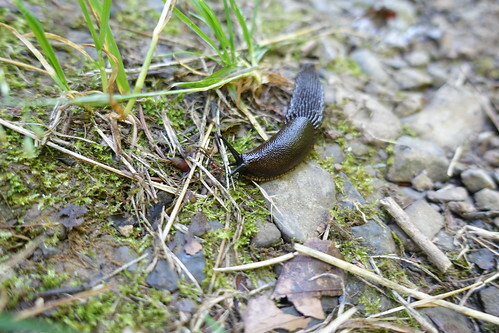 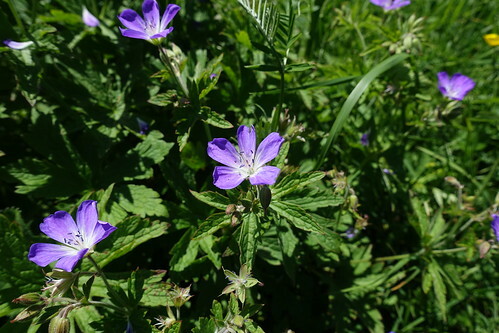 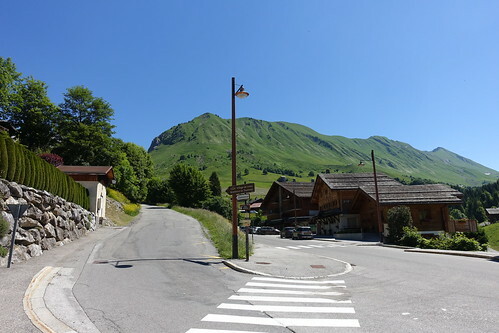 I missed the summer shuttle to Le Chinaillon so I started walking instead. 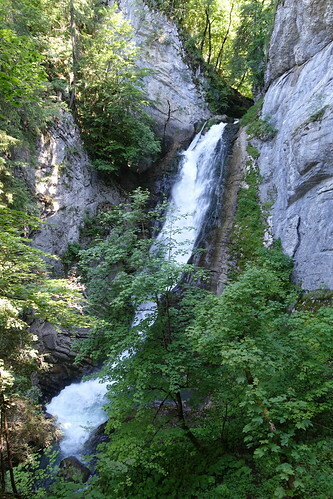 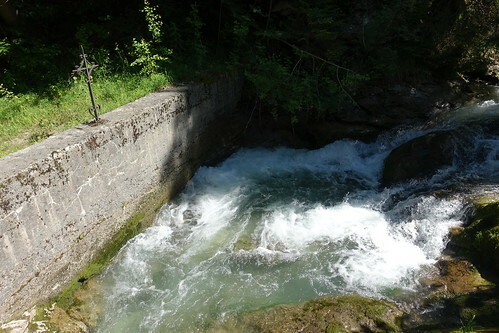 On the way, I made a detour to Cascade Mystérieuse. 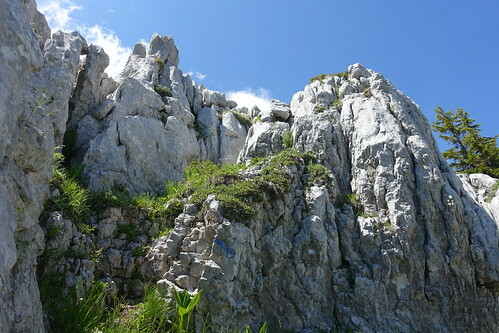 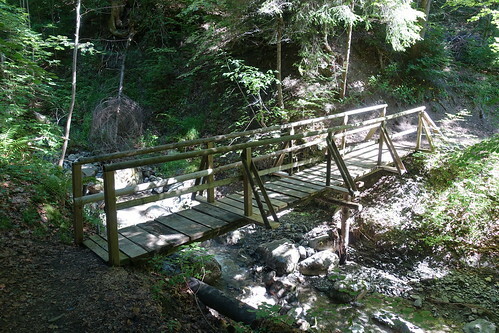 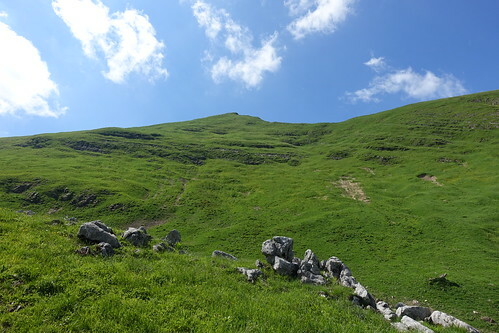 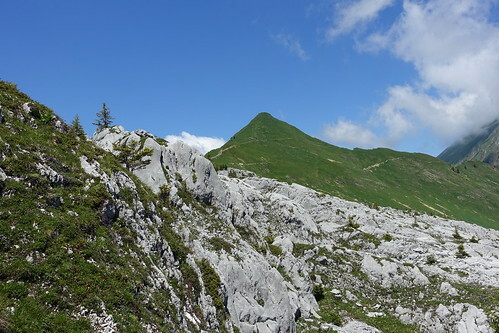 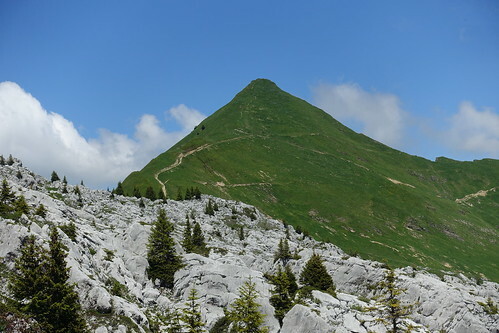 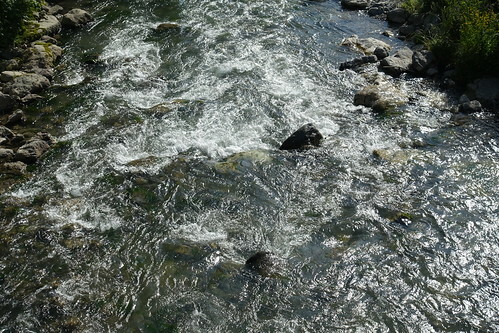 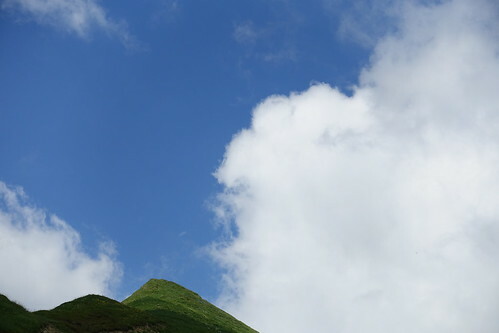 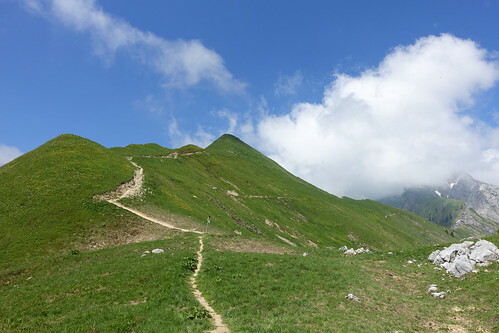 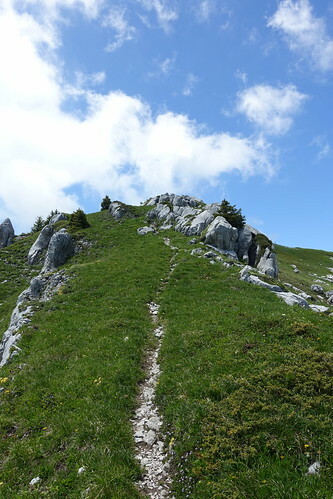 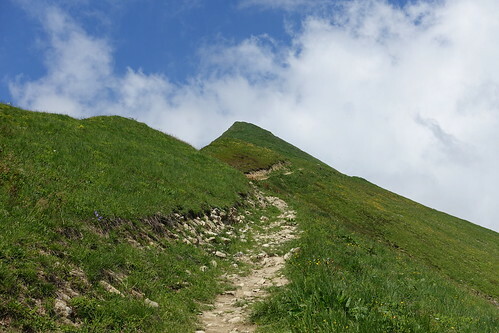 Once in Le Chinaillon, I took a trail to Roc des Tours. 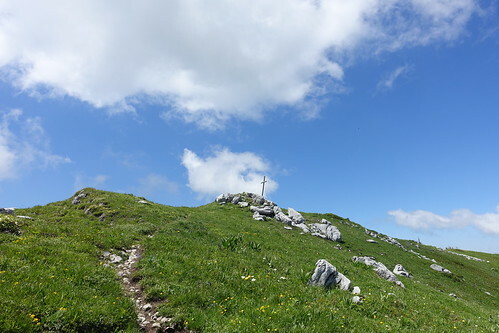 It was pretty steep at some point but I made it to the cross at the summit. 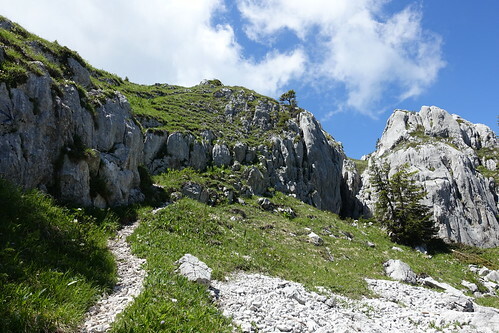 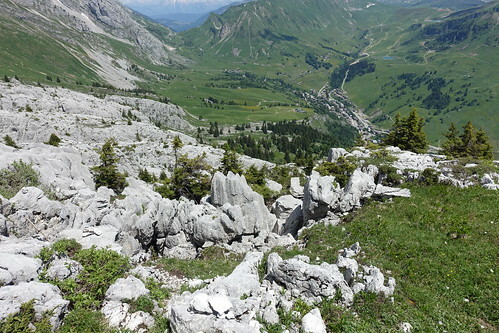 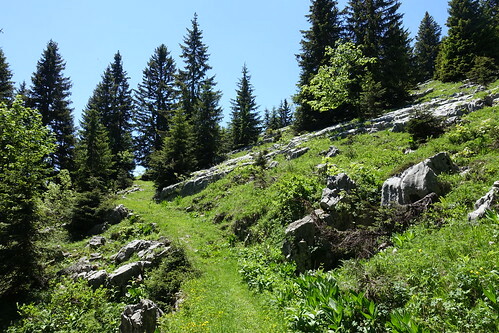 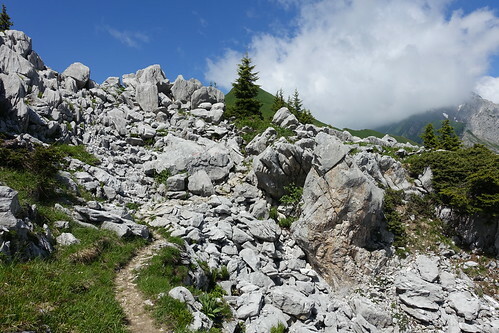 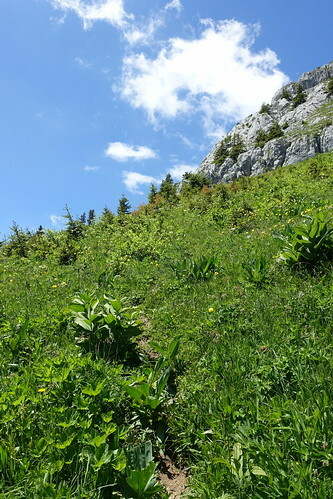 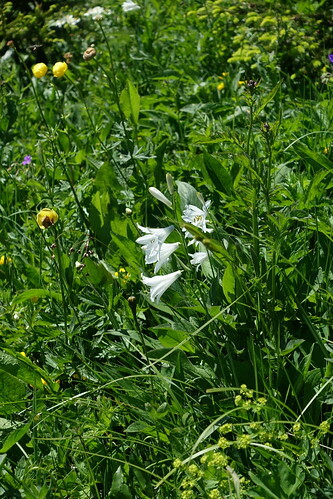 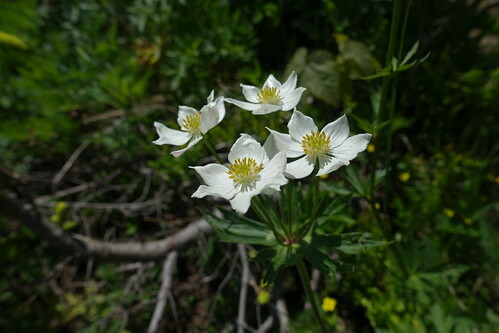 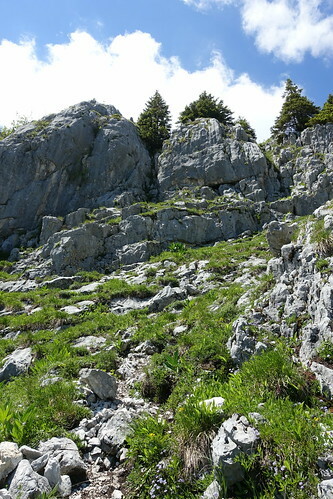 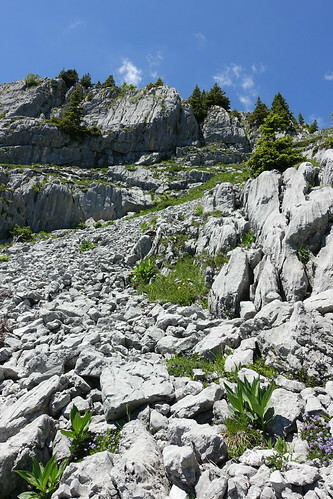 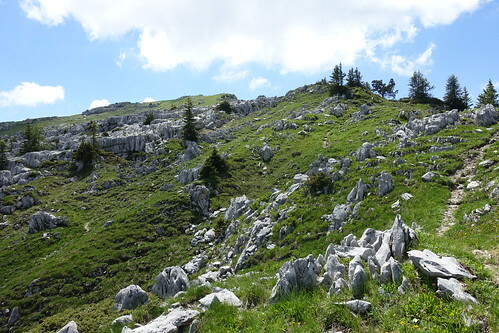 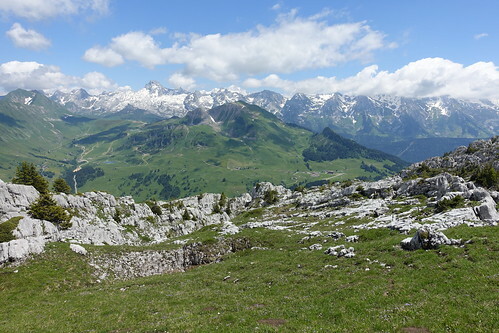 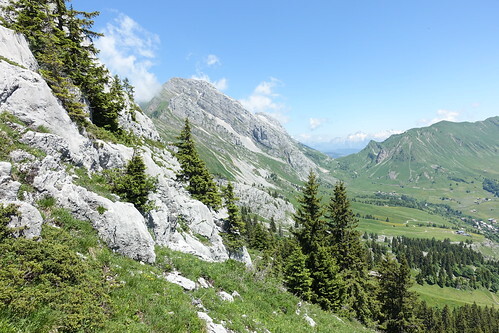 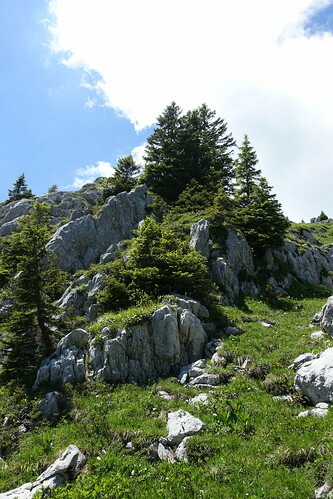 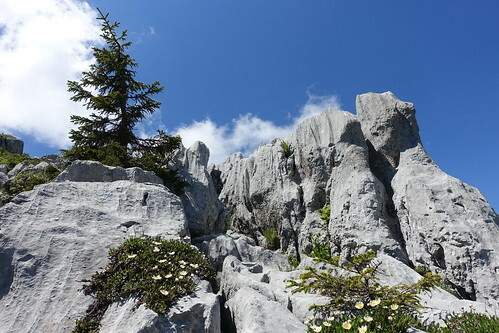 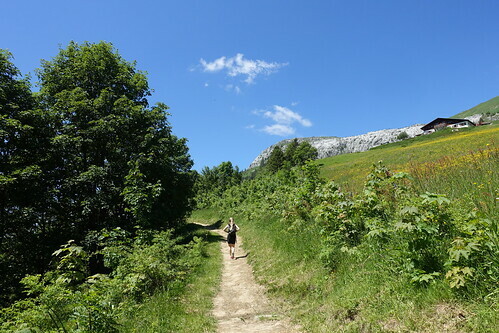 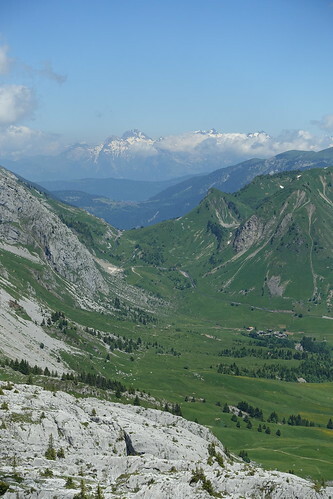 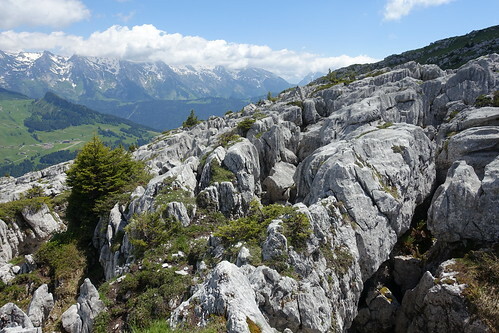 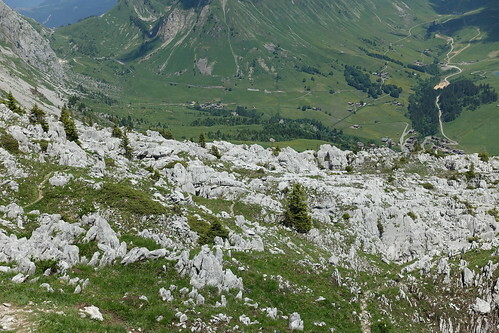 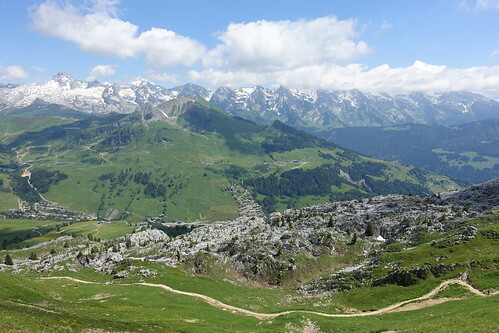 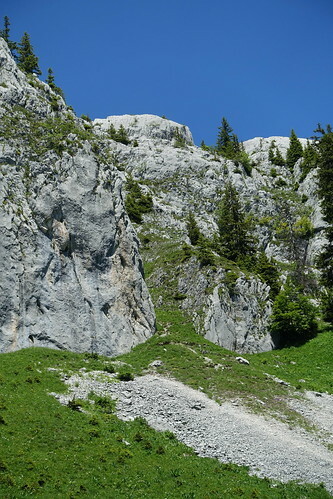 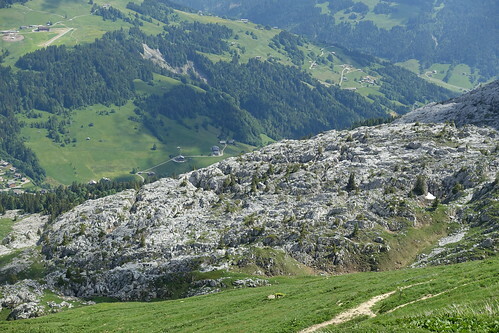 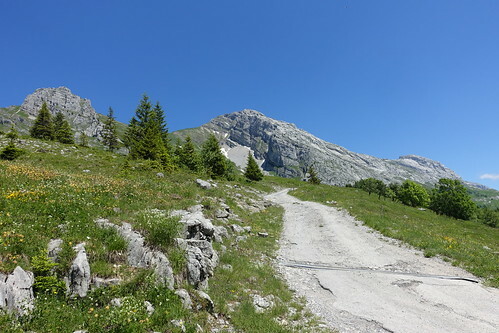 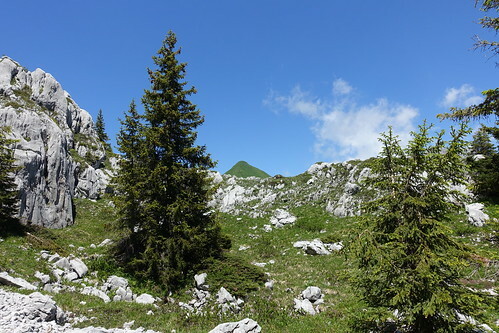 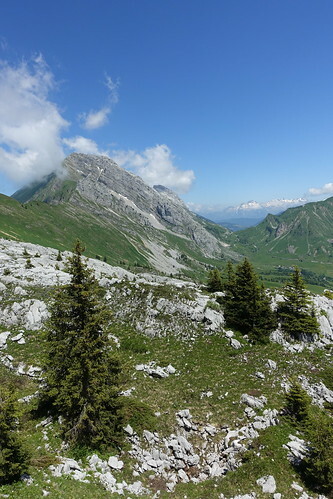 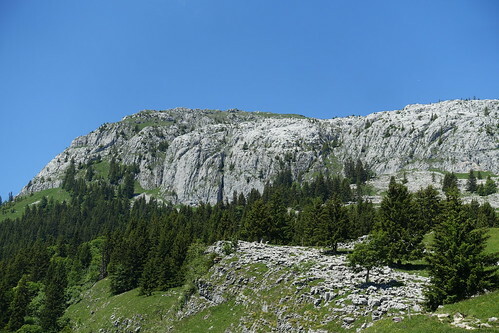 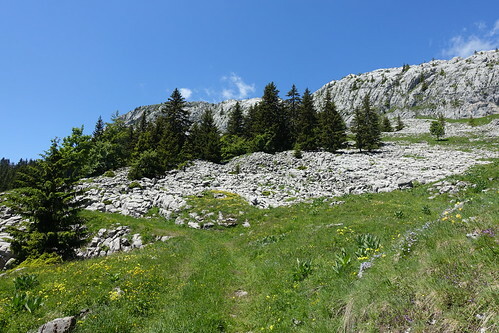 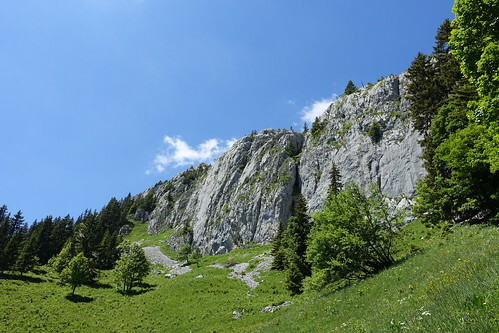 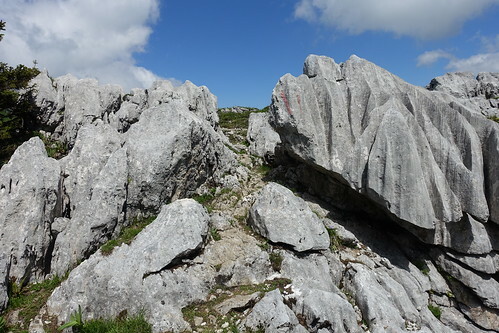 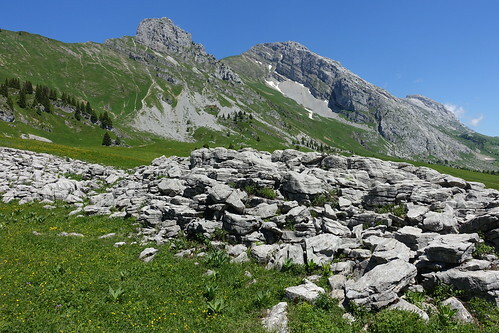 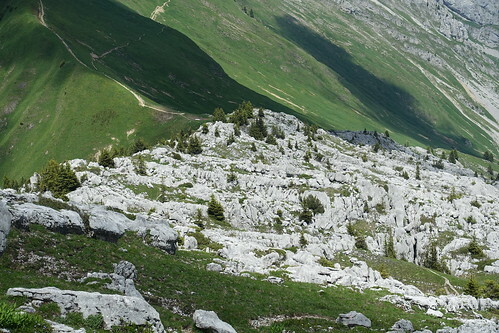 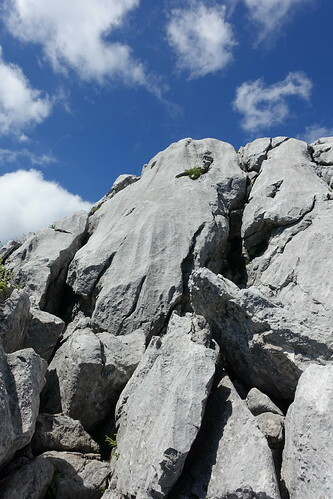 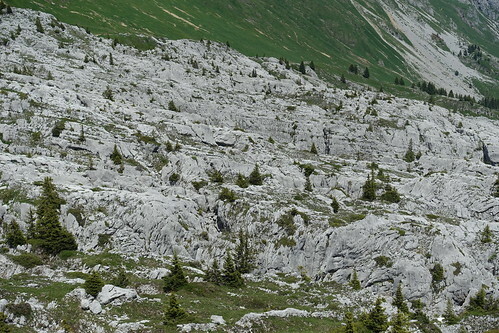 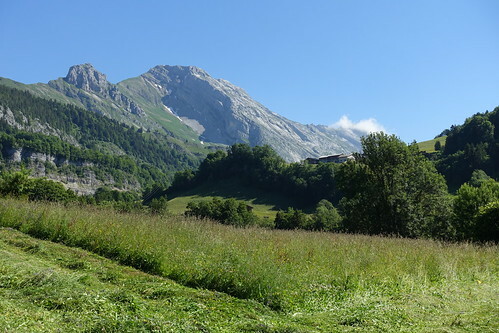 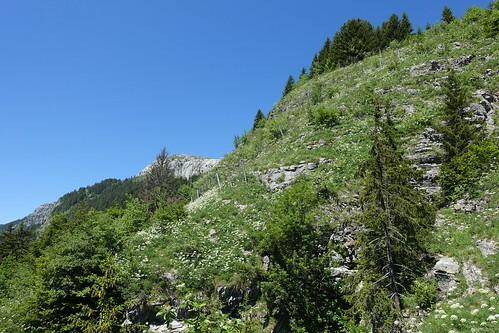 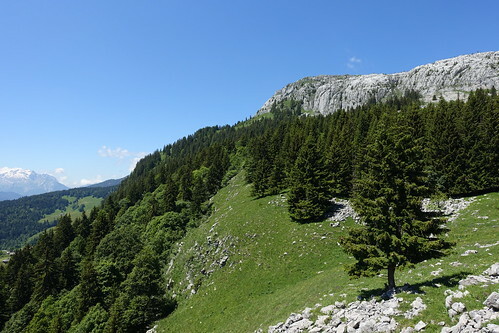 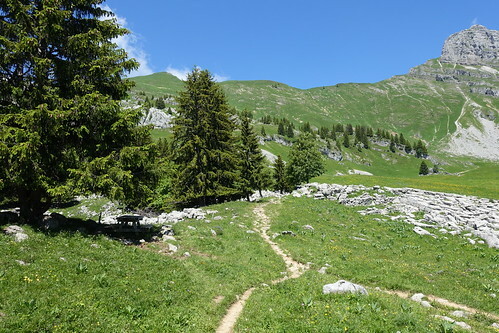 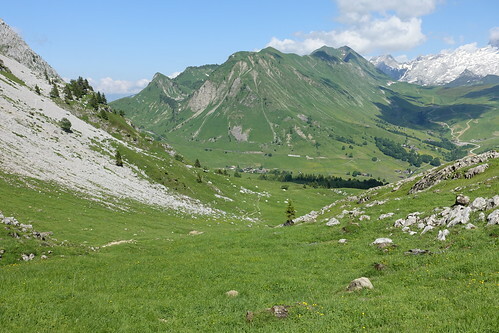 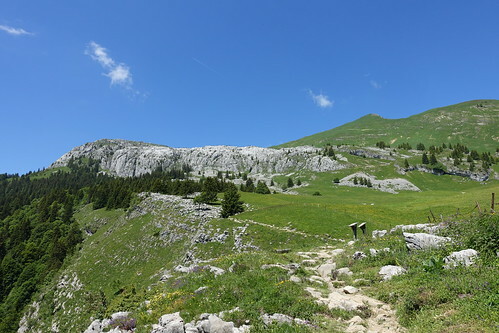 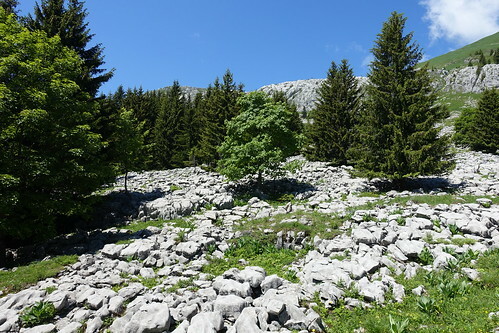 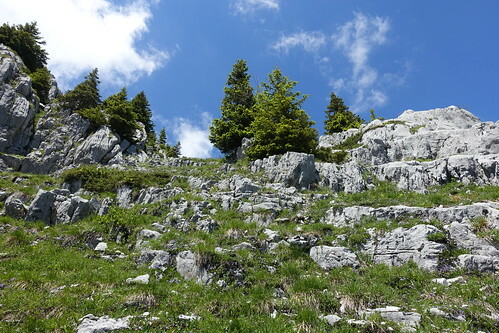 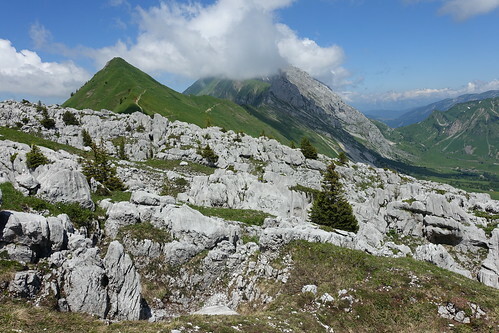 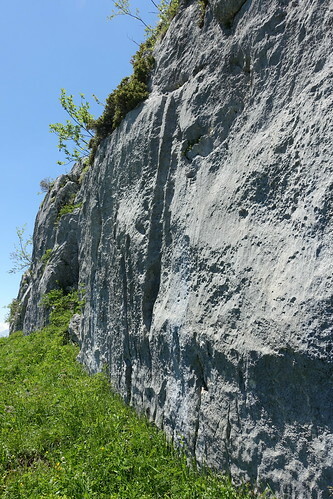 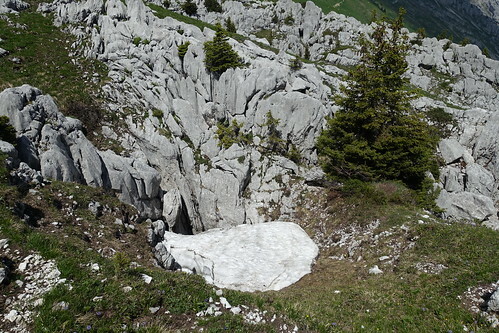 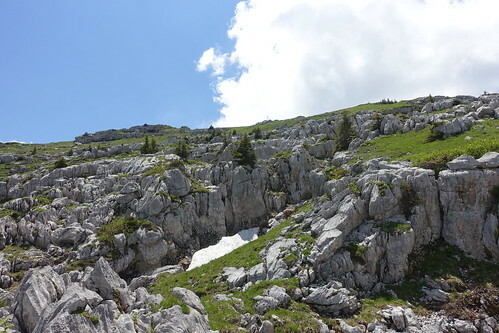 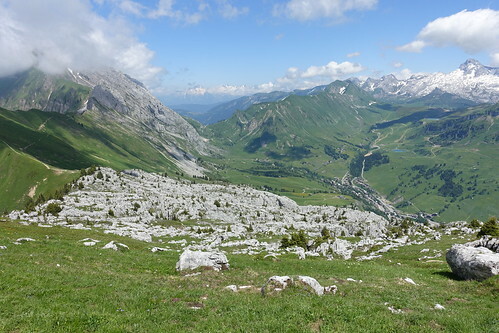 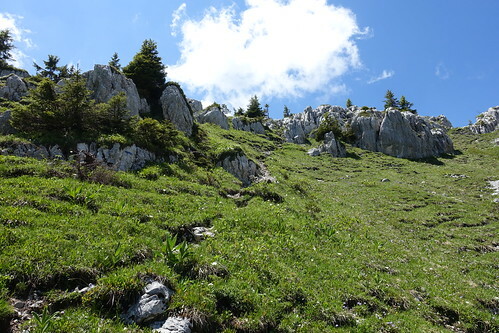 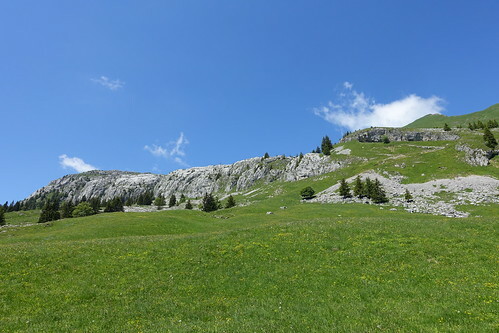 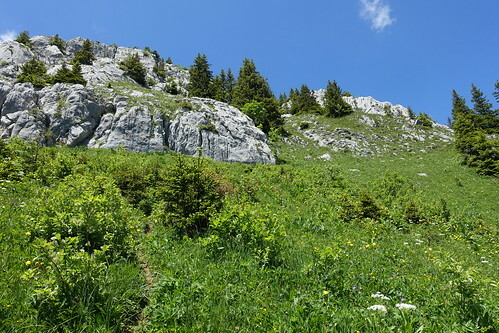 I then walked through the limestone plateau on the way to the Aiguille Verte, the highest point of the day. 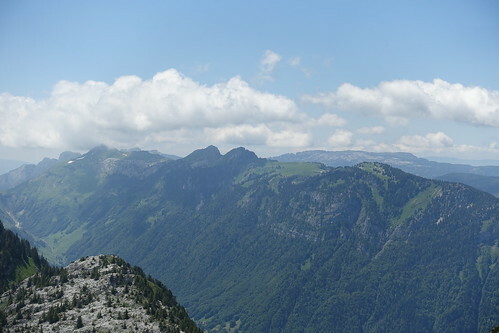 There was a great view from there. 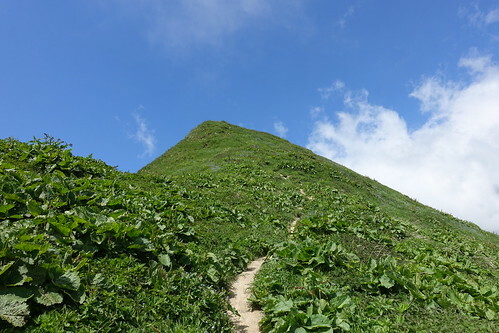 I then went down to join with the trail I took on the way up and made it back to Le Chinaillon. 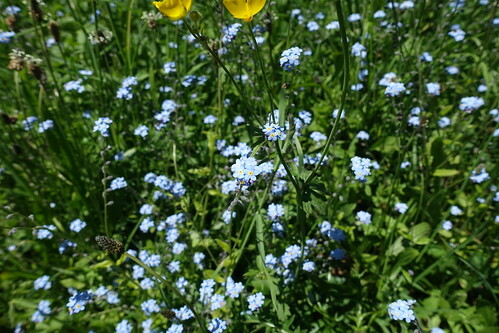 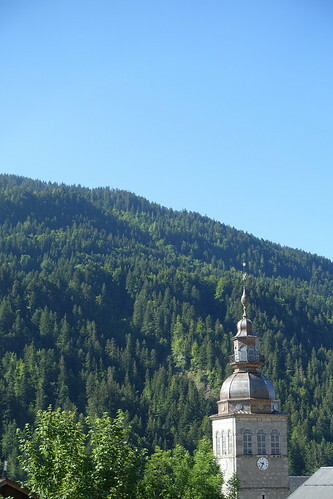 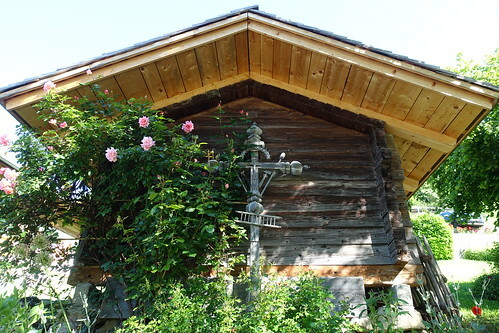 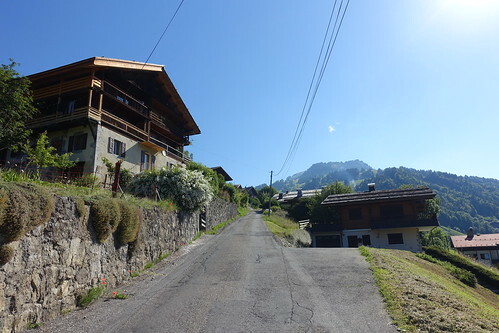 I boarded the summer shuttle to the village and, from there, took the bus back to Annecy. 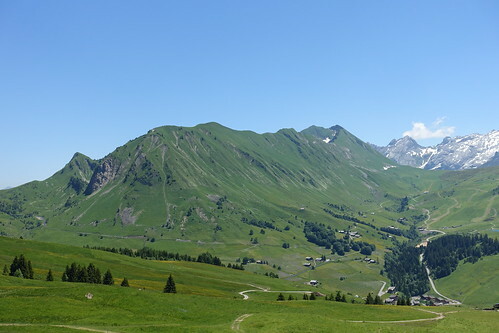 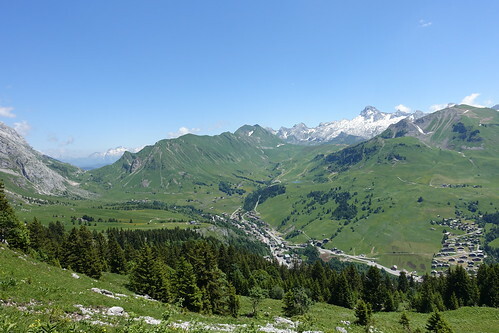 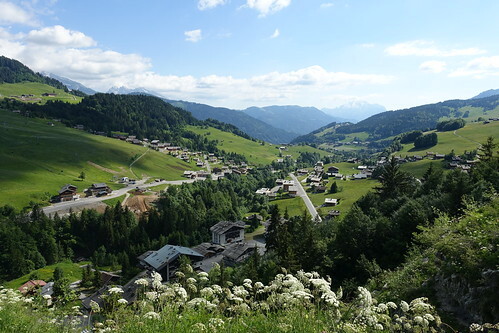 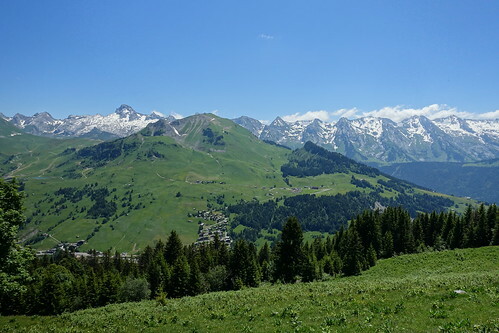 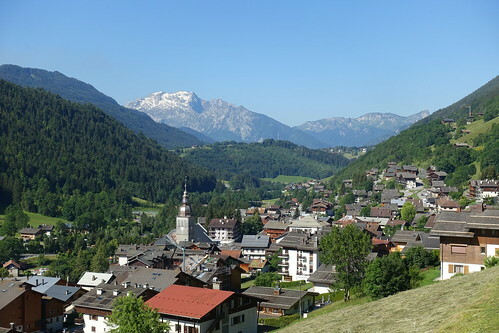 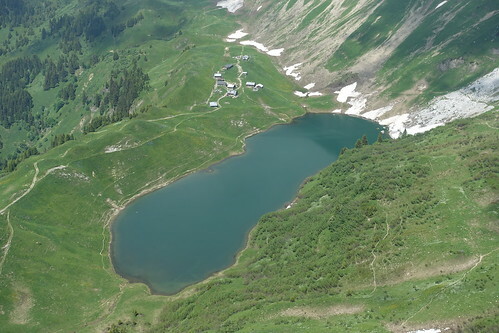 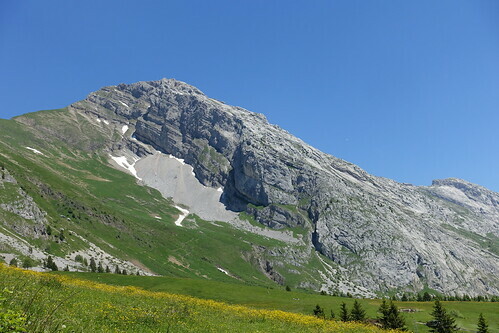 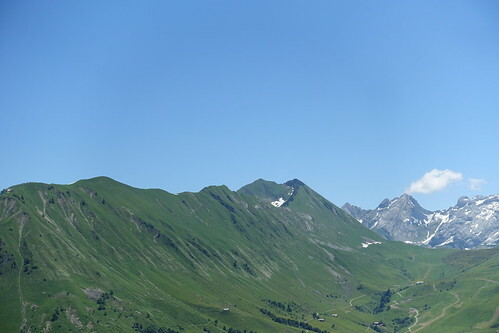 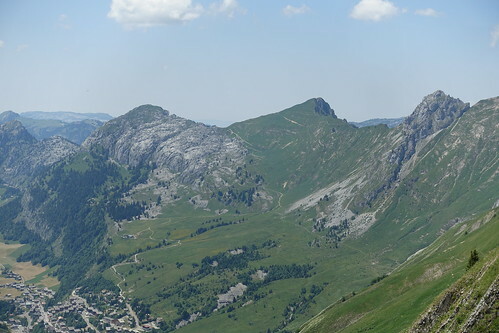 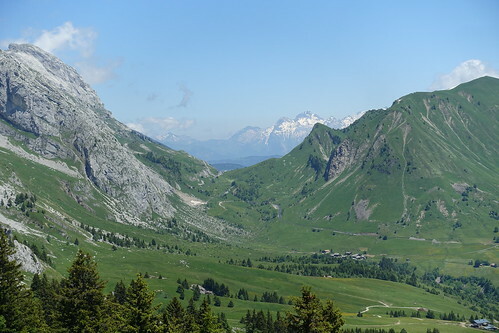 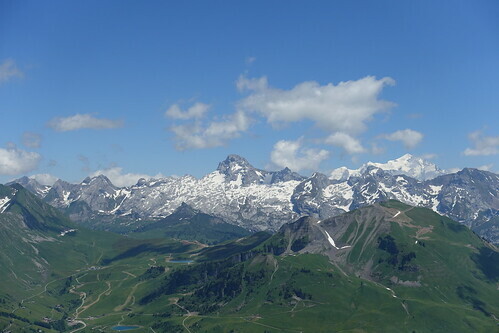 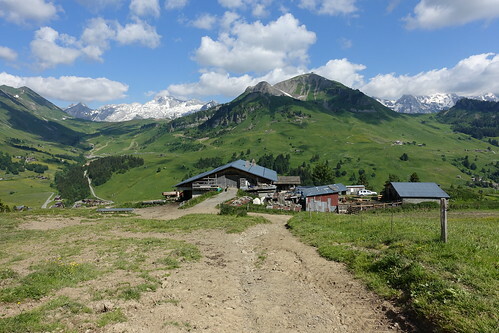 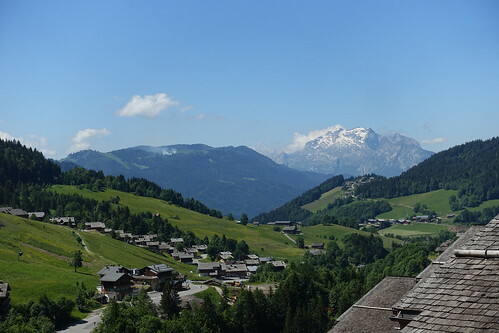 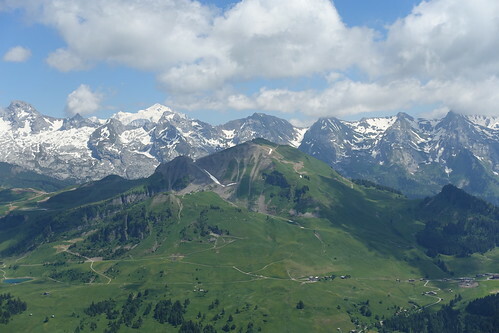 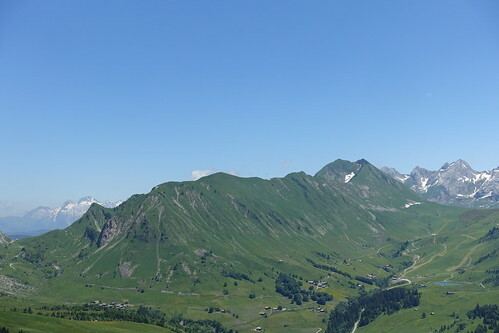 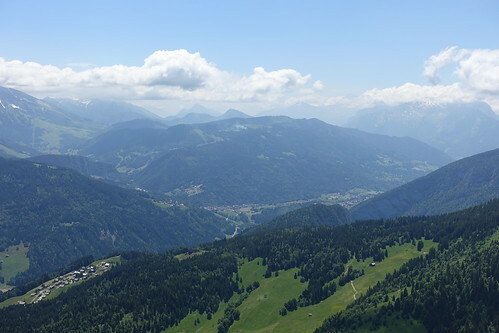 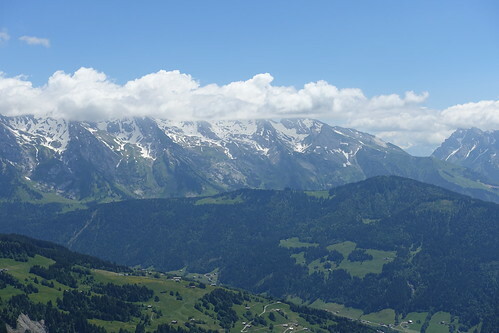 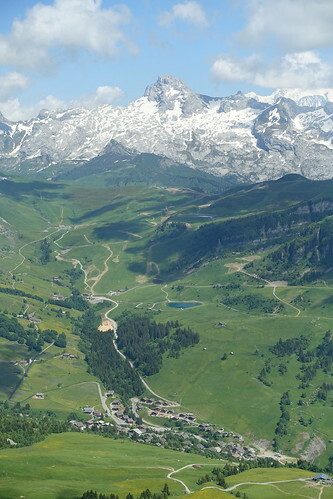 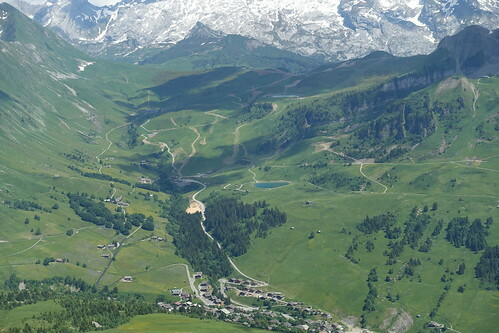 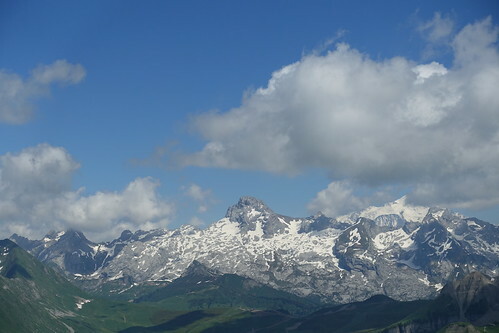 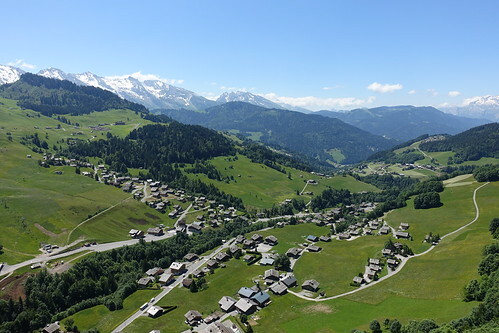 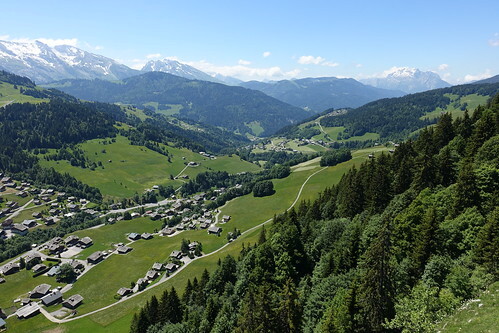 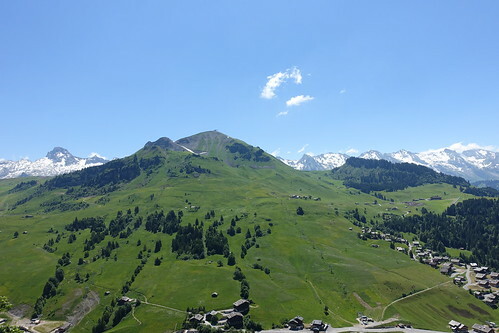 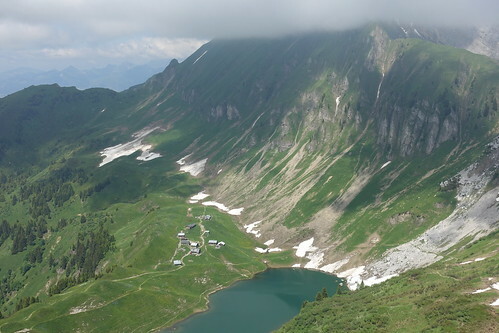 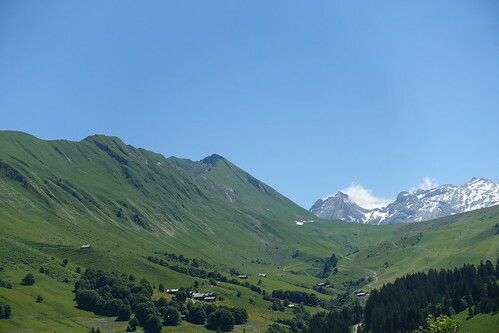 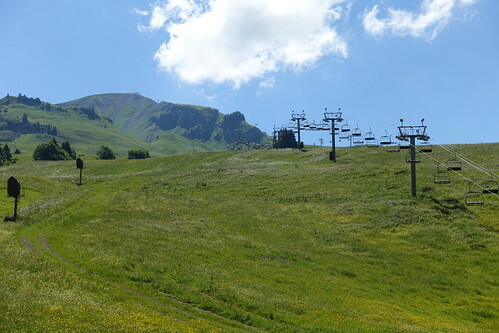 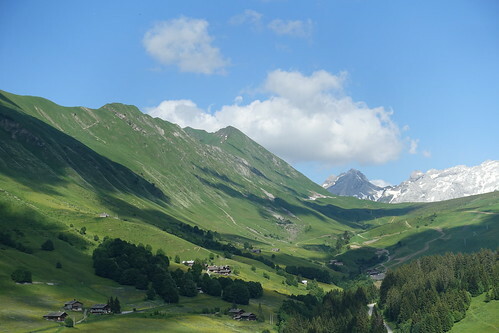 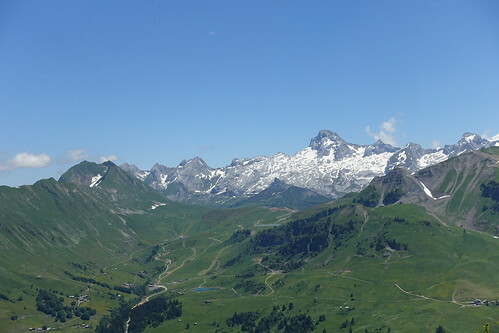 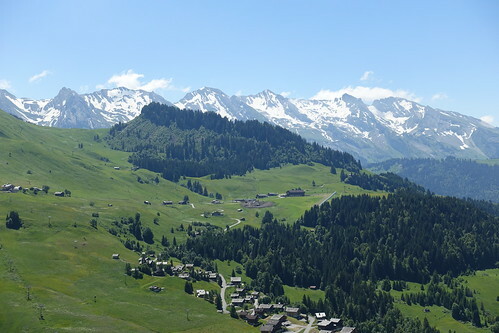 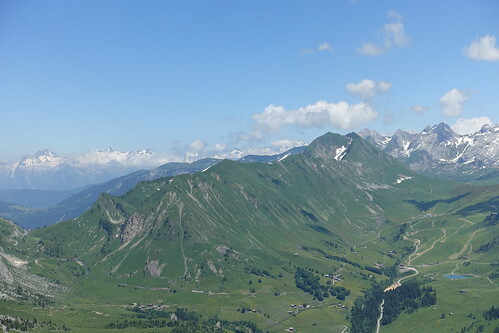 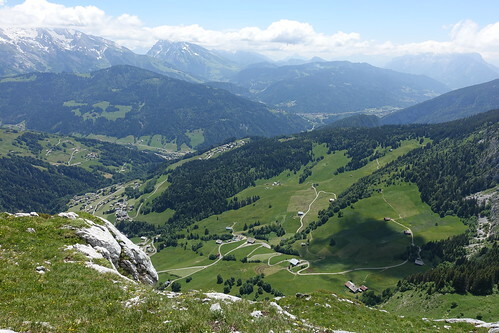 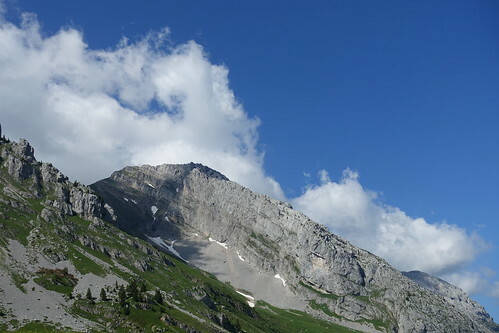 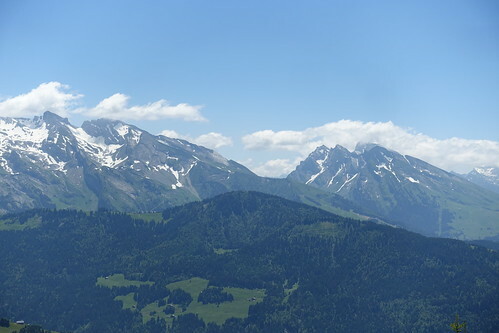 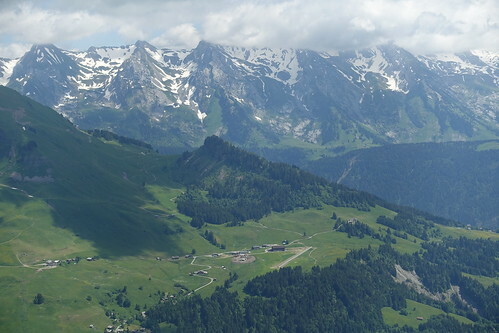 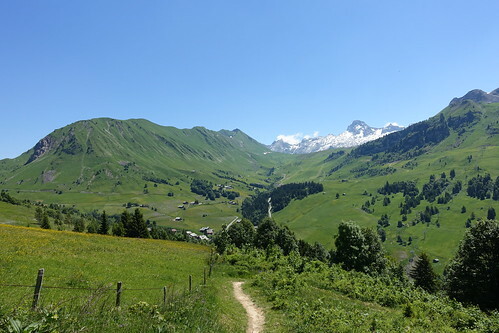 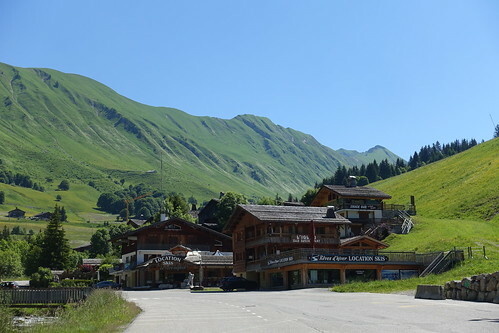 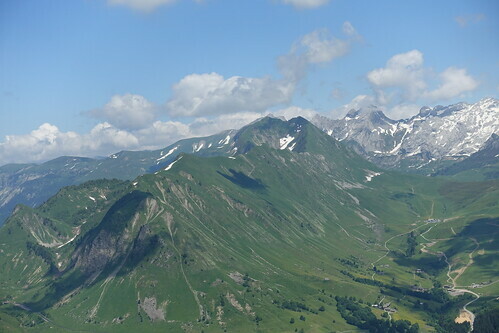 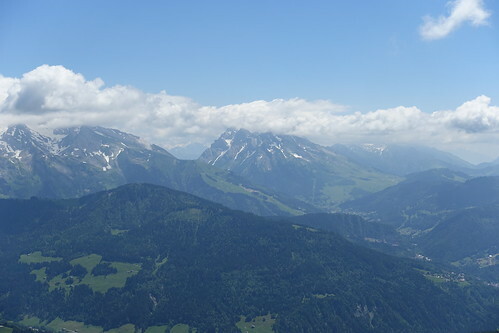 Above, Le Buclon and Pic de Jallouvre. 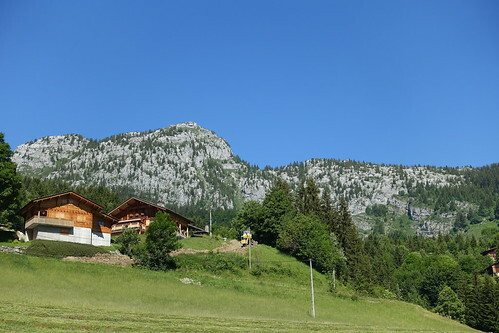 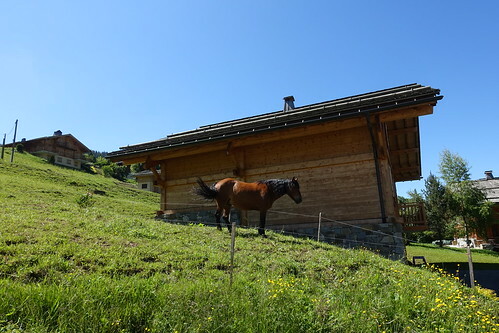 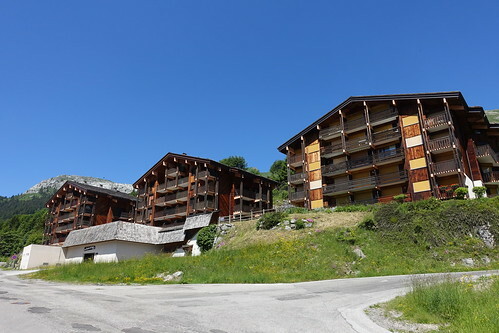 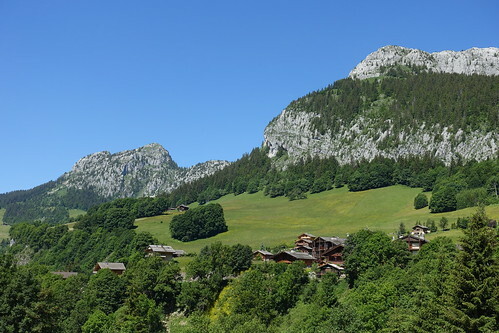 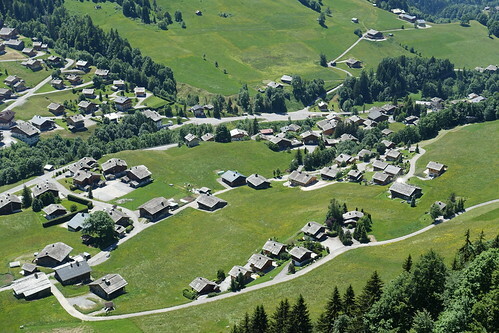 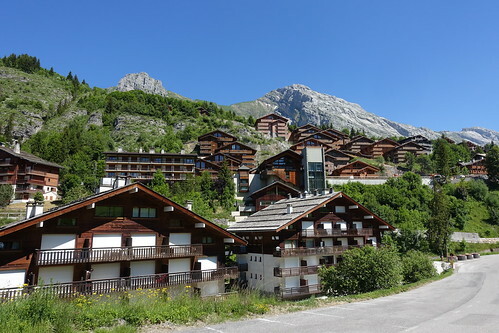 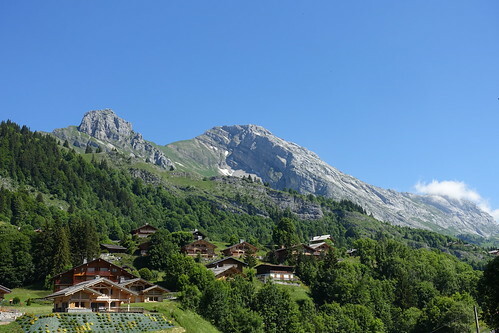 Above, chalets in Le Chinaillon. 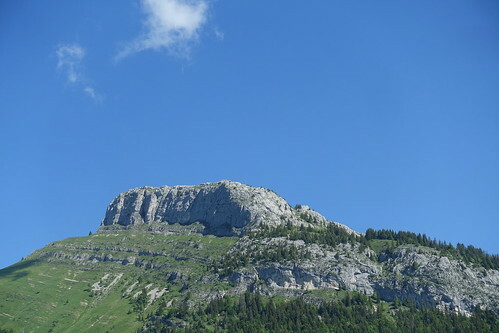 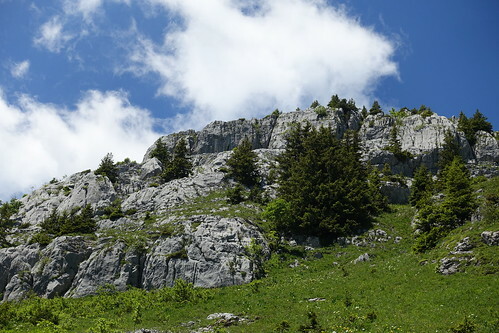 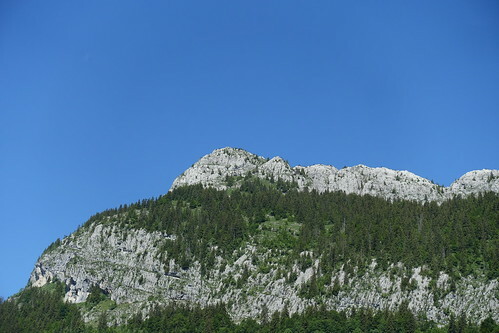 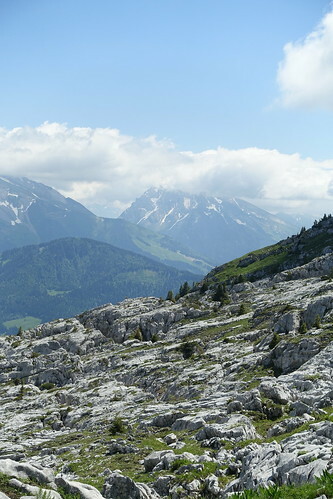 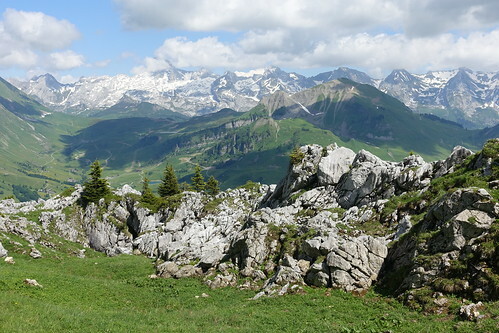 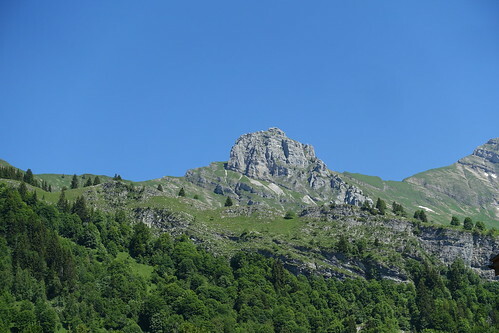 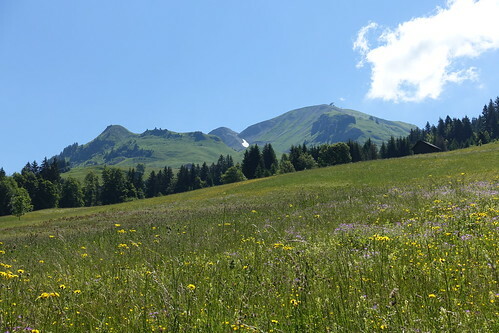 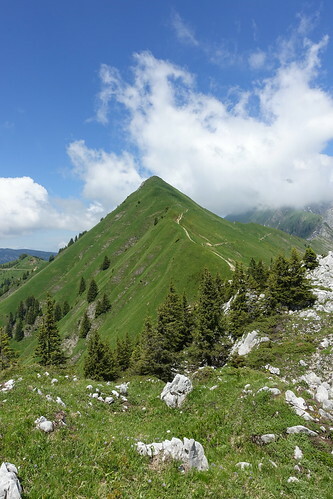 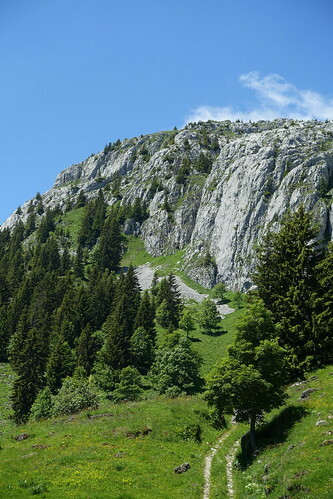 Above, Mont Lachat de Châtillon. 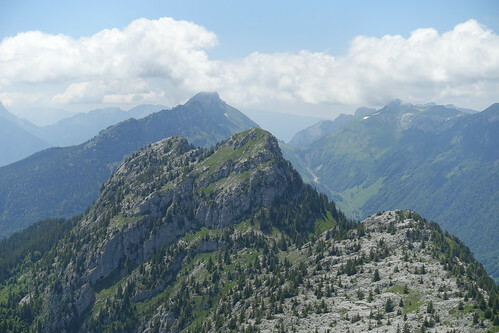 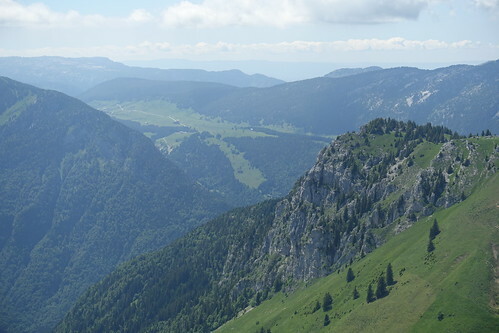 Above, Pointe de Grande Combe. 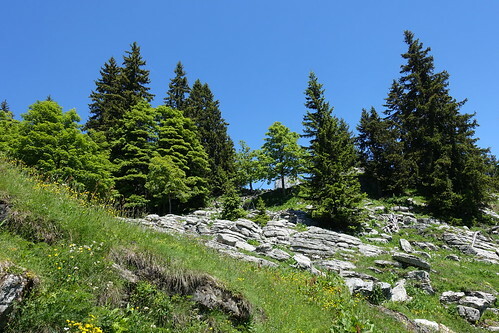 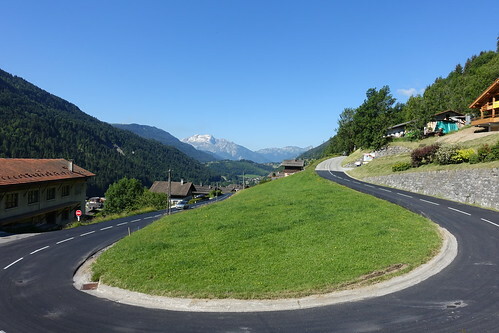 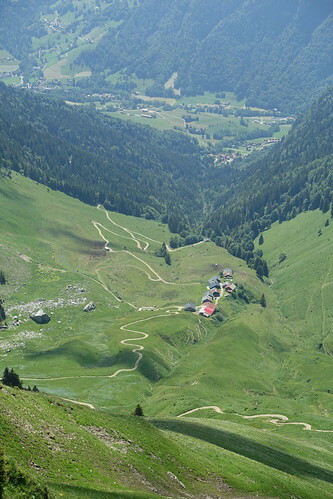 Above, Col de la Colombière. 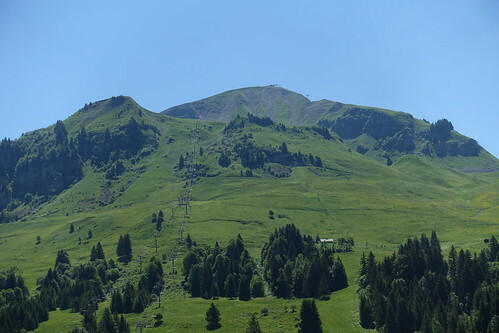 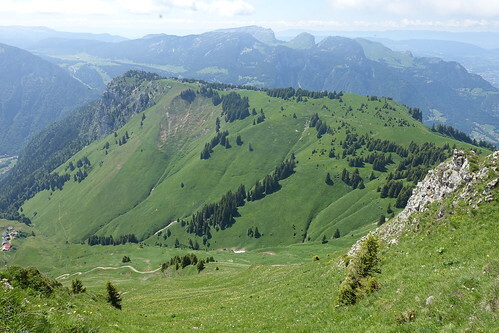 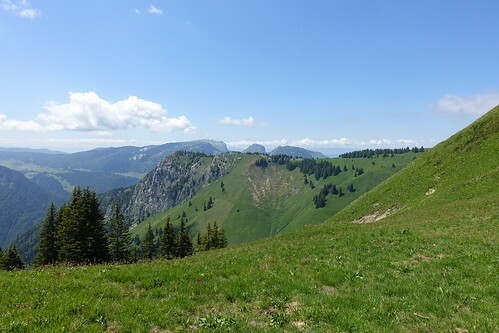 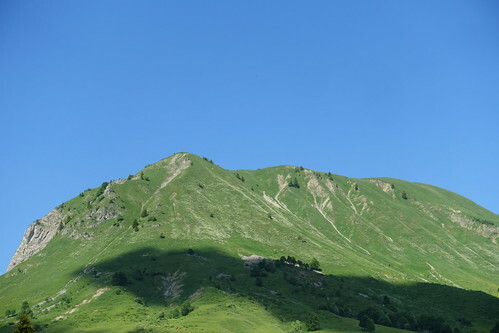 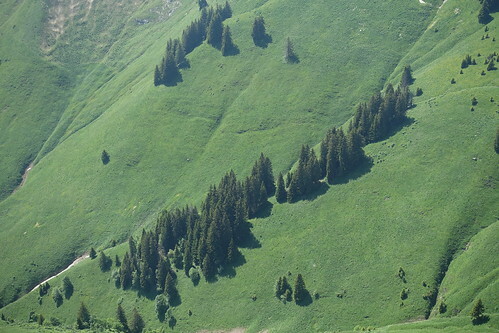 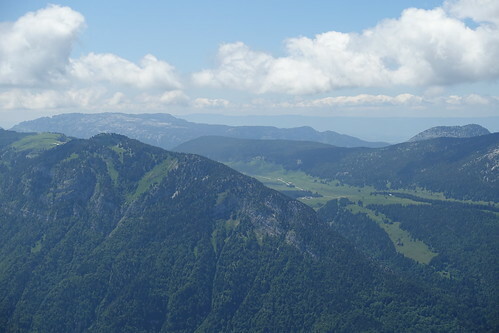 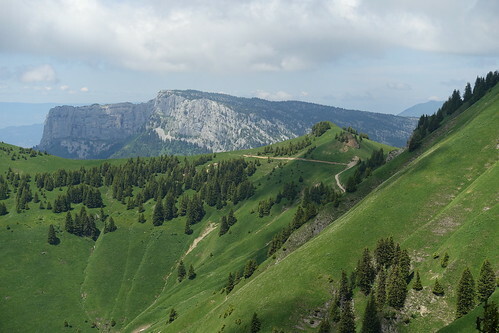 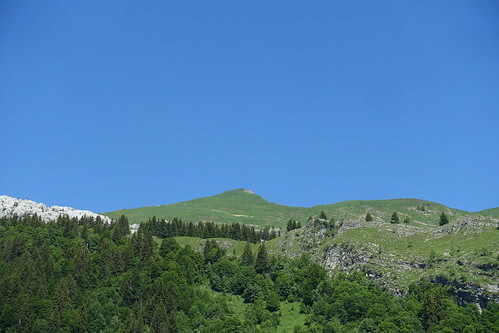 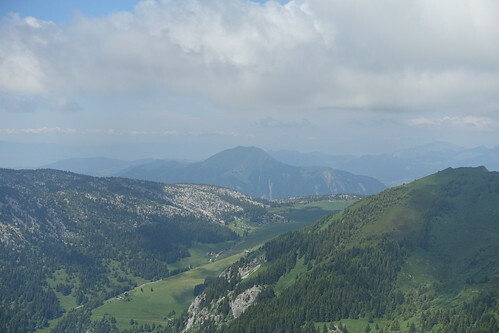 Above, Mont Lachat de Châtillon, from a viewpoint. 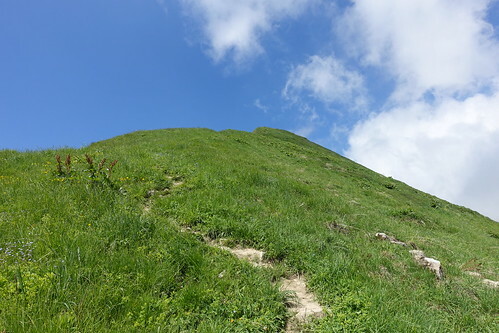 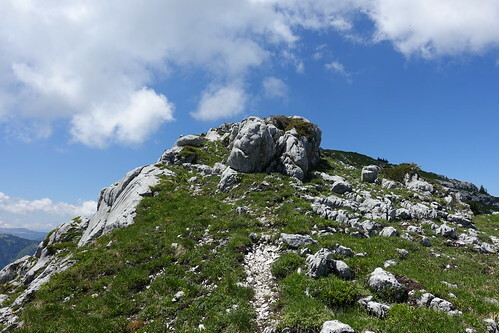 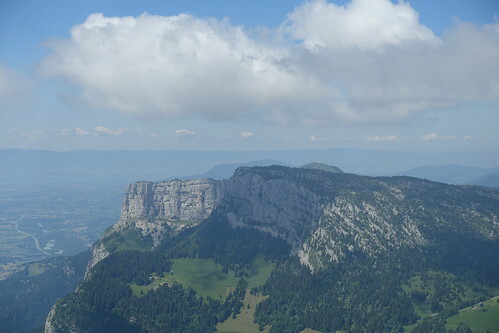 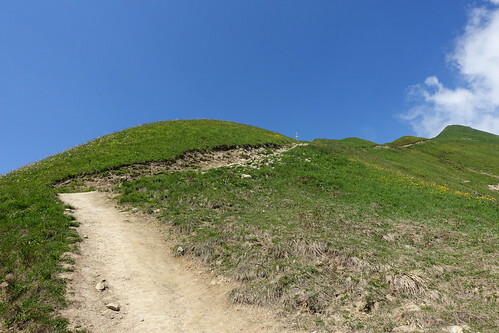 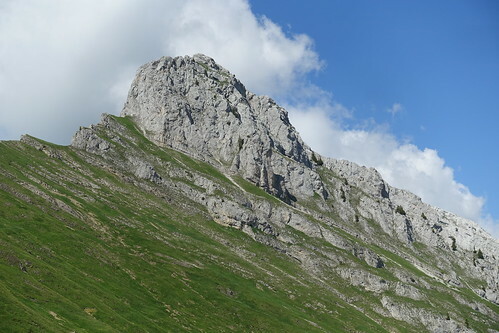 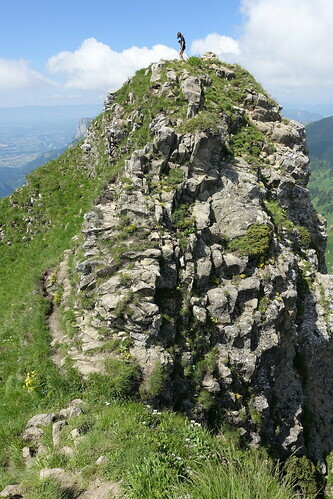 Above, summit of Roc des Tours. 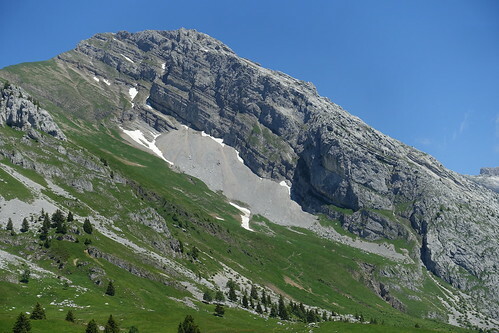 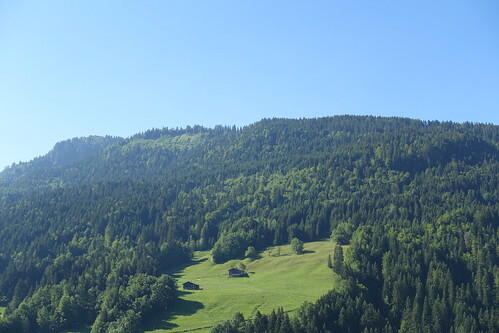 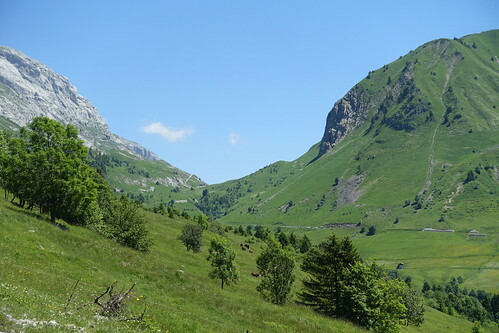 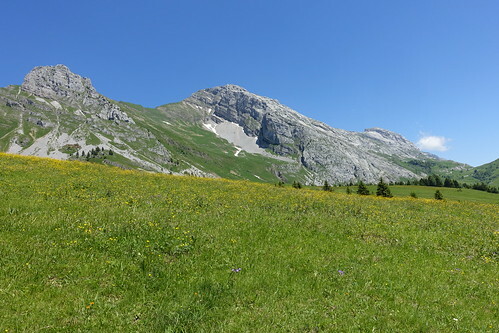 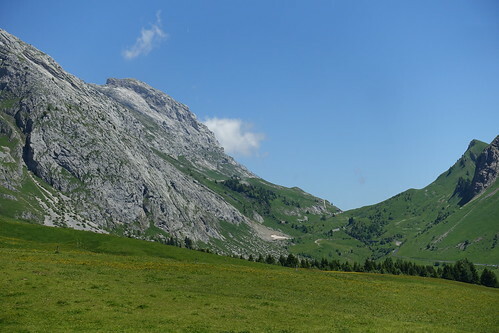 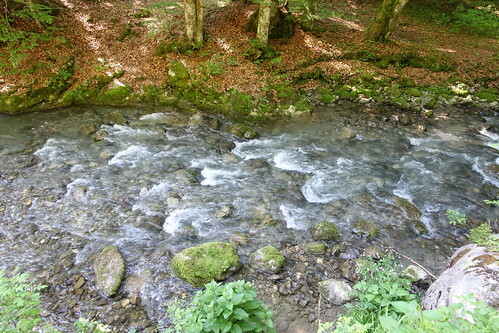 Above, Col de la Buffaz. 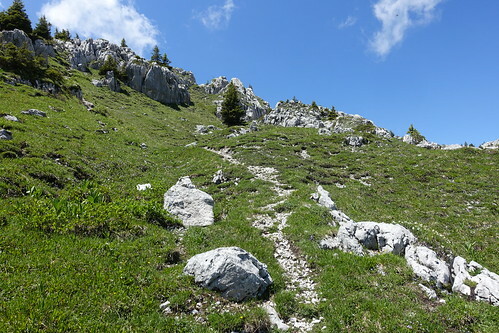 Above, on the way to Aiguille Verte. 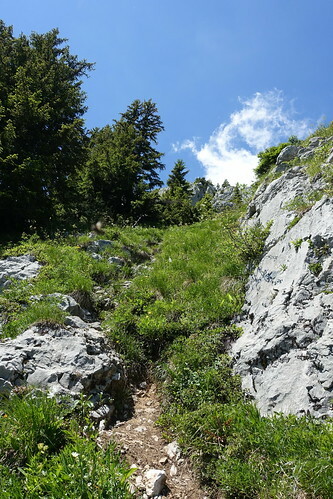 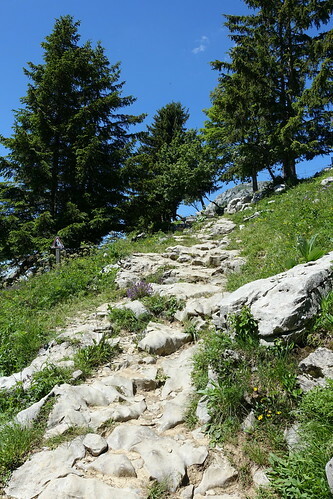 Above, ascent to Aiguille Verte. 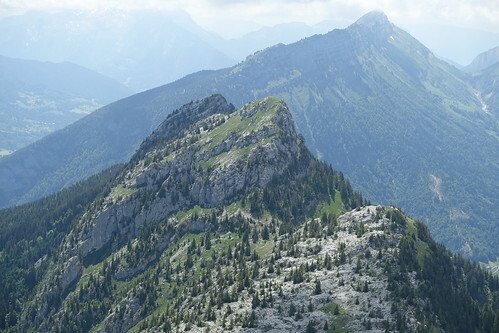 Above, summit of Aiguille Verte. 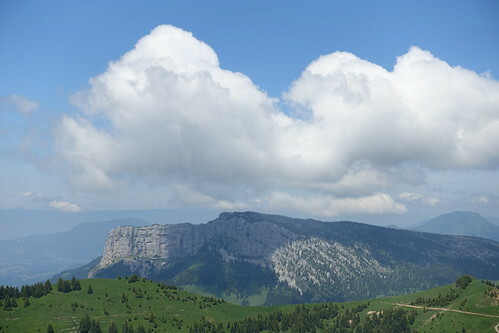 Above, Pic de Jallouvre in the clouds. 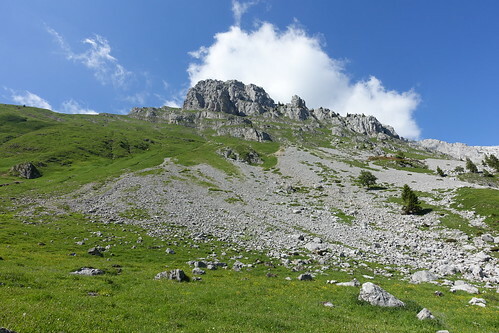 Above, on Plateau de Samance. 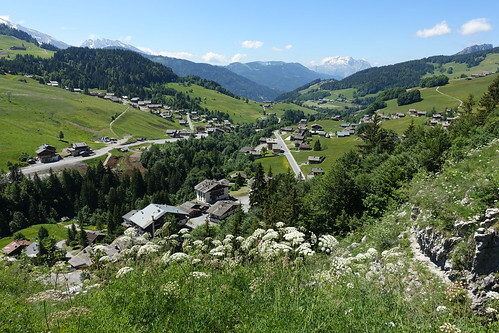 Above, back in Le Chinaillon. 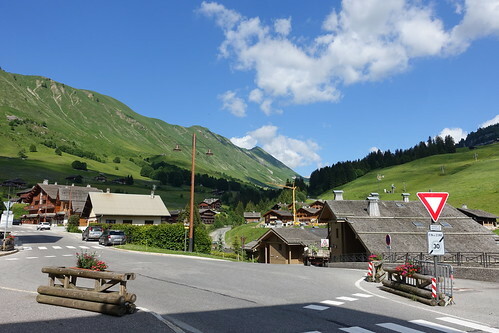 Above, waiting for the shuttle to the village.